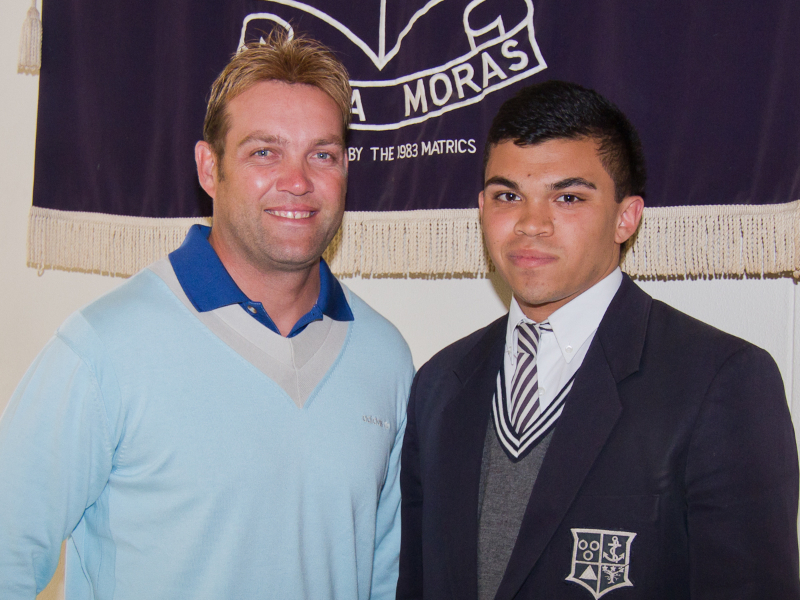 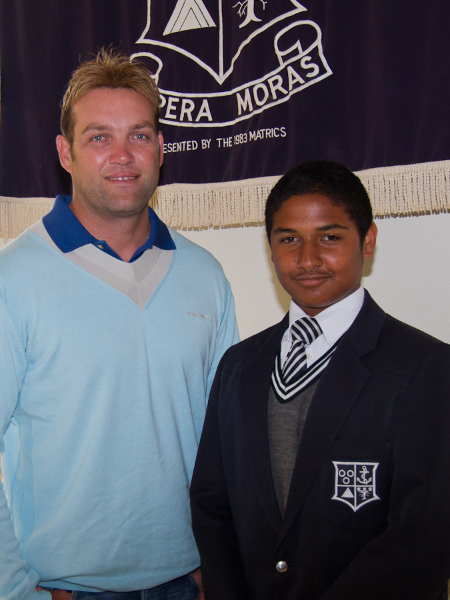 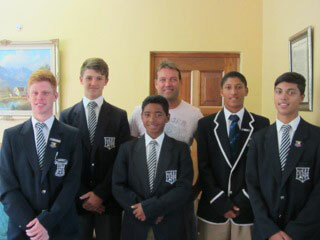 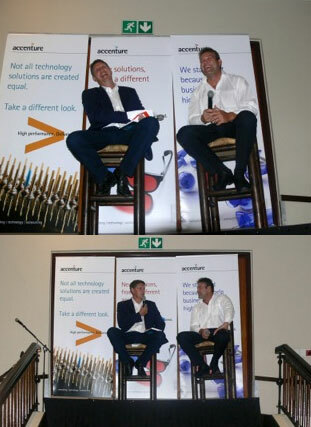 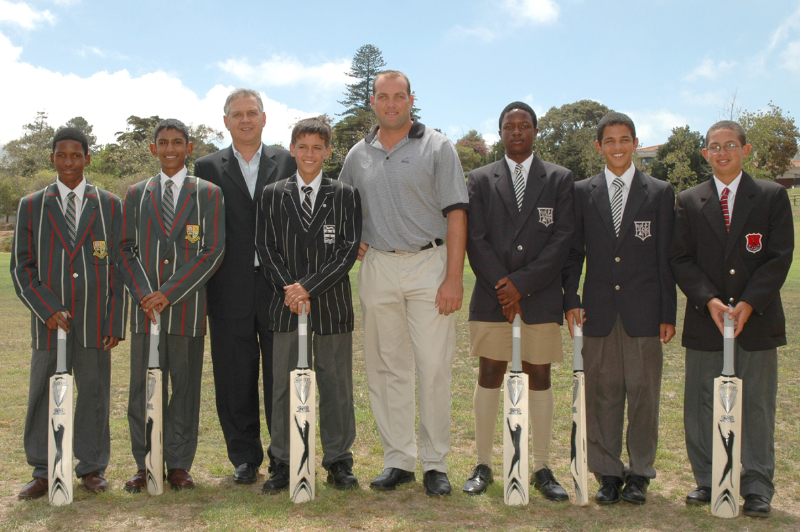 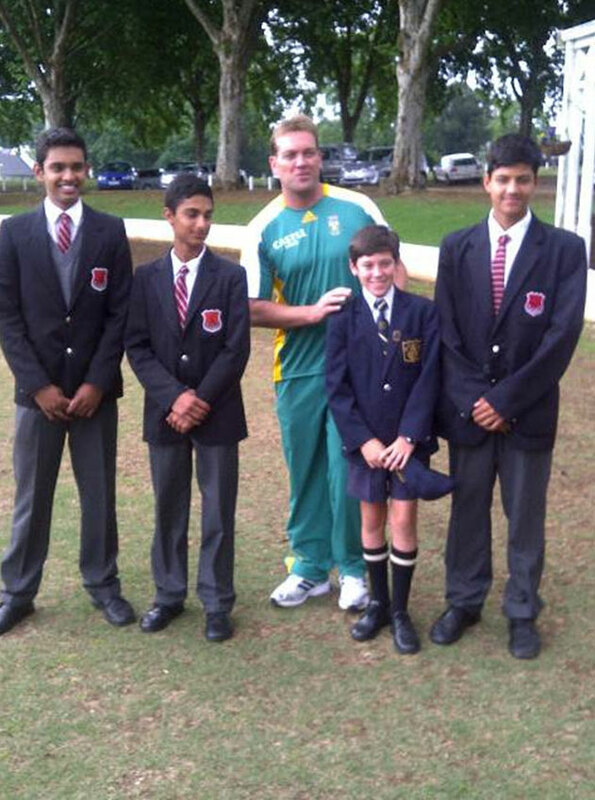 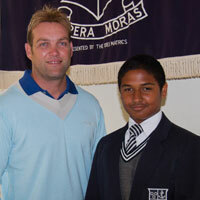 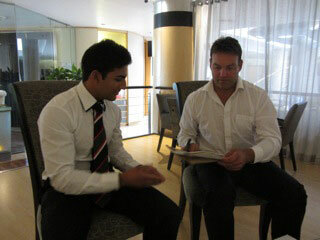 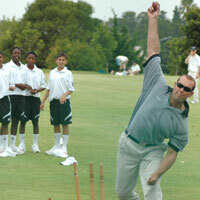 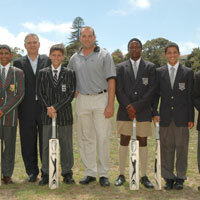 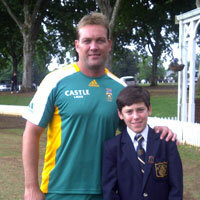 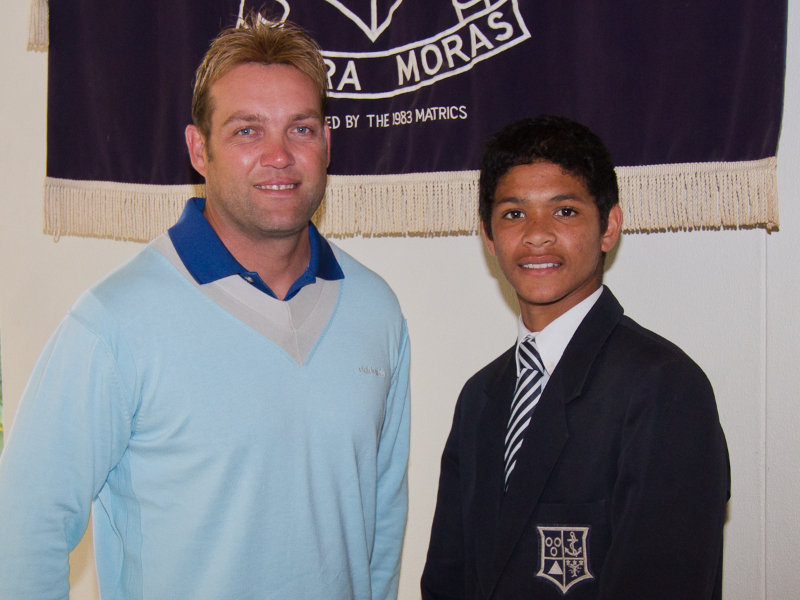 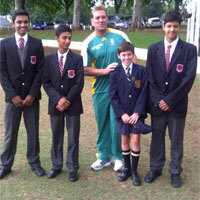 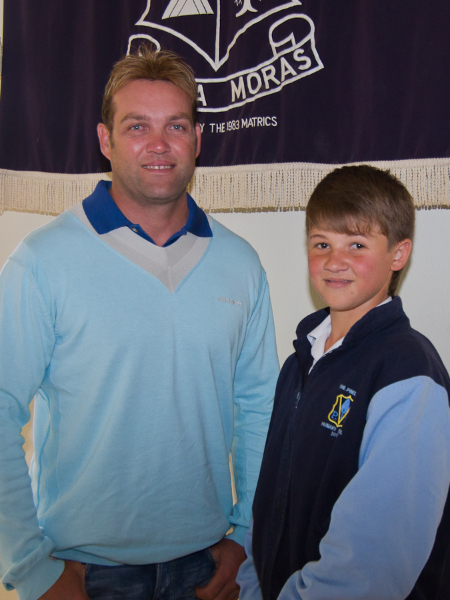 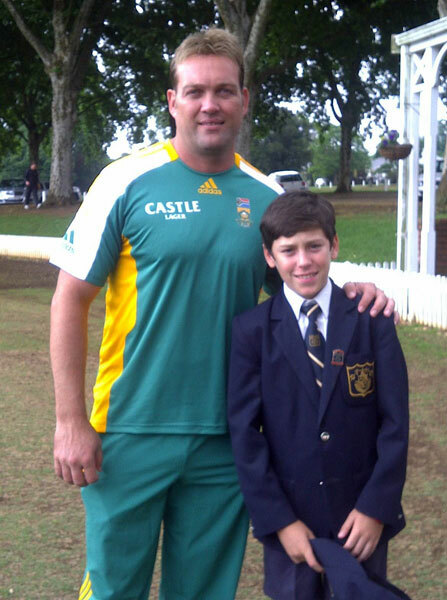 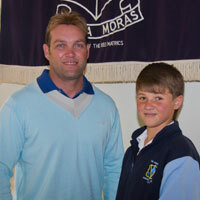 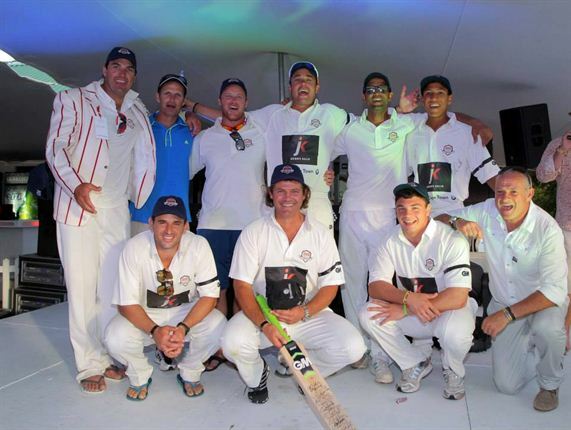 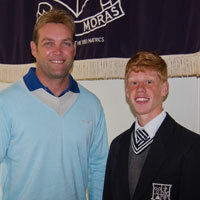 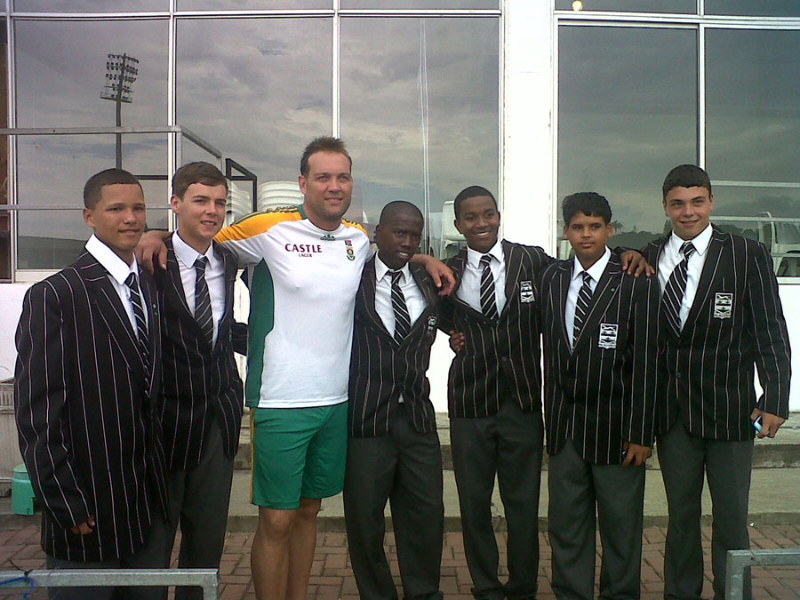 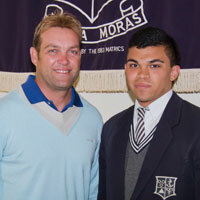 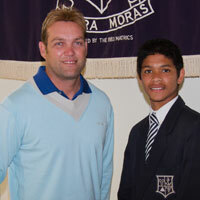 Jacques Kallis spending time with the boys from the foundation. 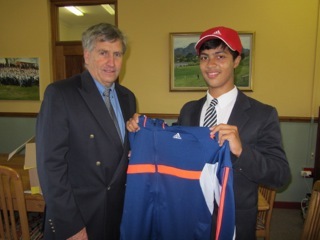 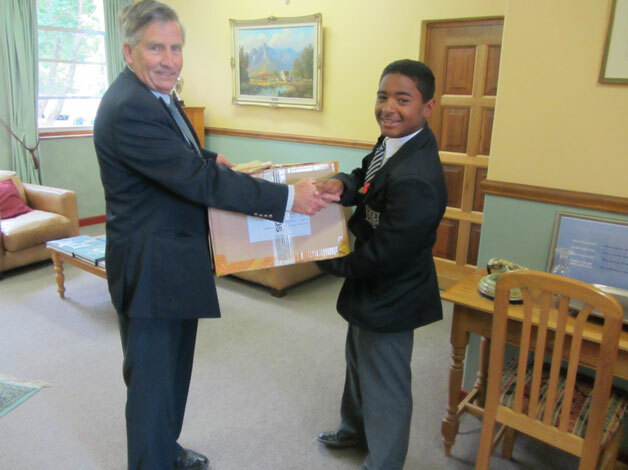 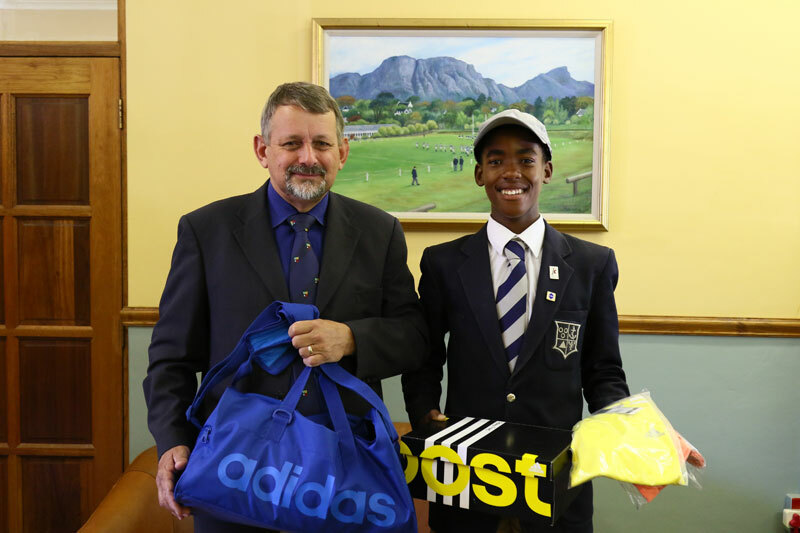 Kyle Pluke and Mr. Richardson (Wynberg headmaster) while receiving a gift hamper from adidas for his hard work in 2013. 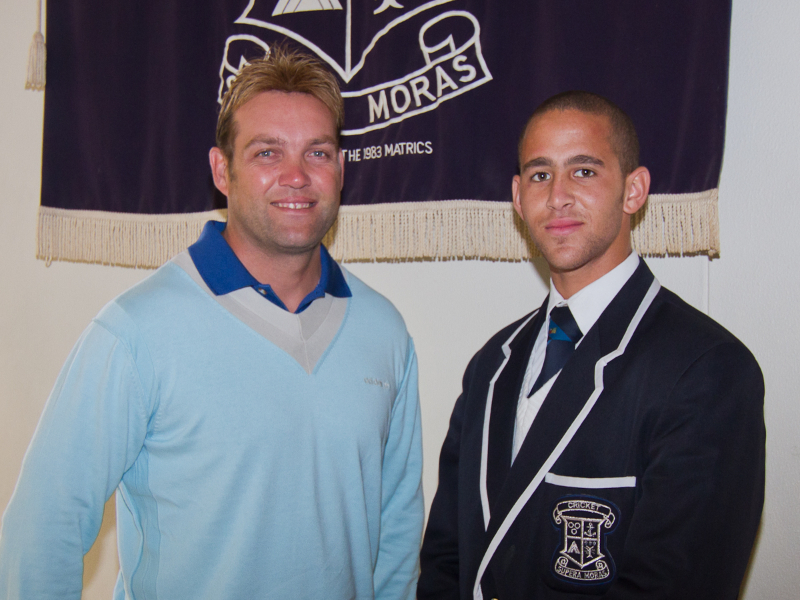 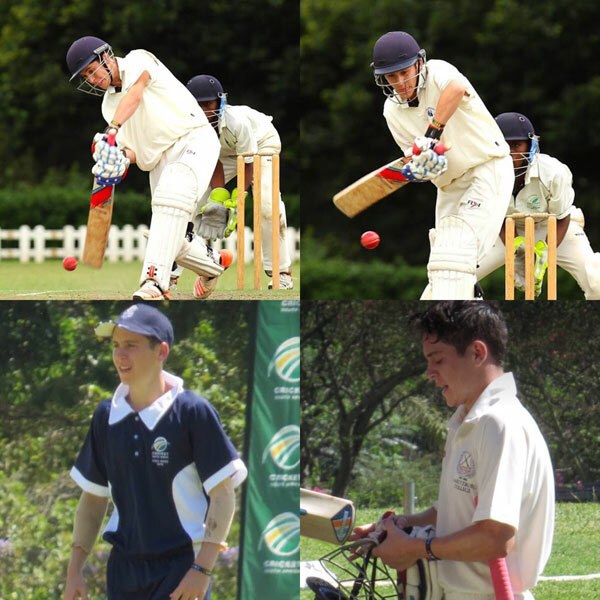 David Brits (Selborne College) and Robin Kriel (Wynberg Boys) played in the Momentum sixes in the JK Foundation Team and won on the 14th Dec 2013. 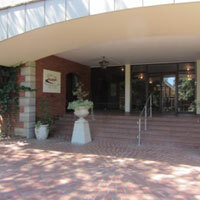 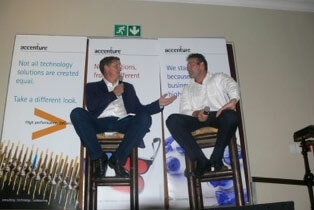 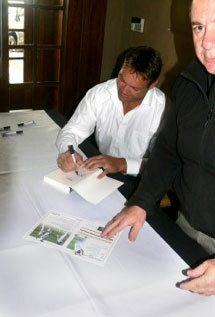 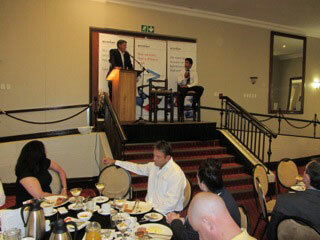 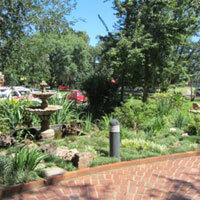 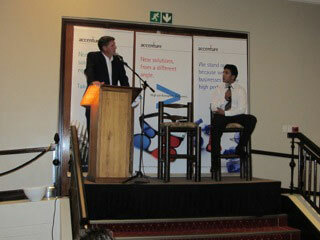 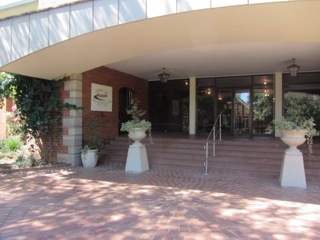 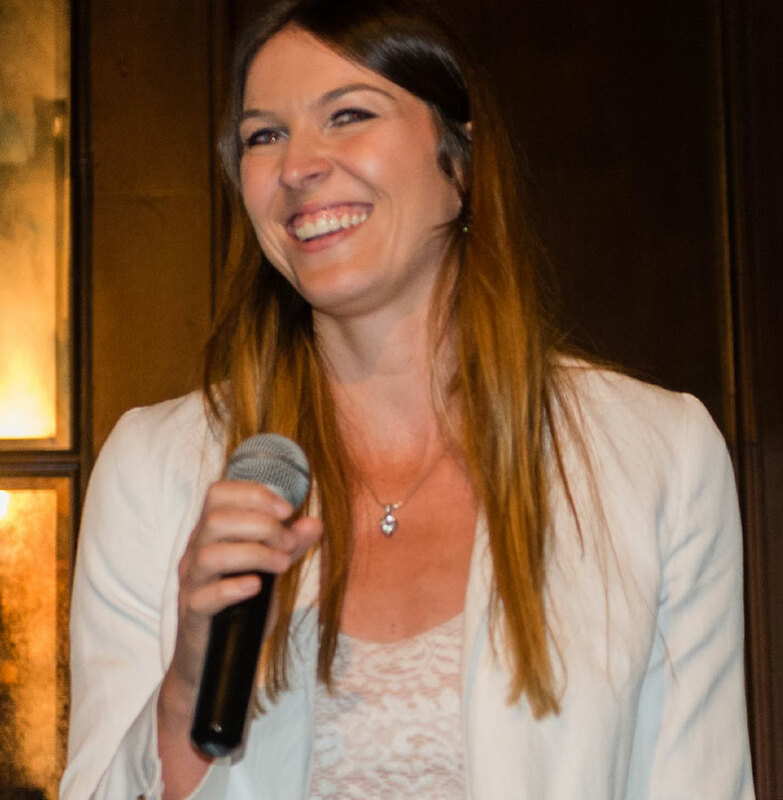 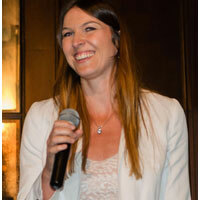 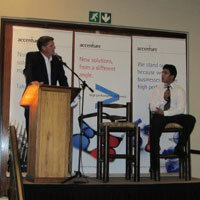 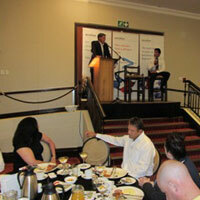 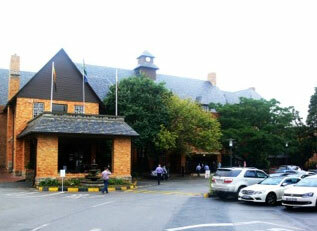 Corporte Sports Breakfast at Wanderers Club on the 6th March 2014 where Jacques was the guest speaker. 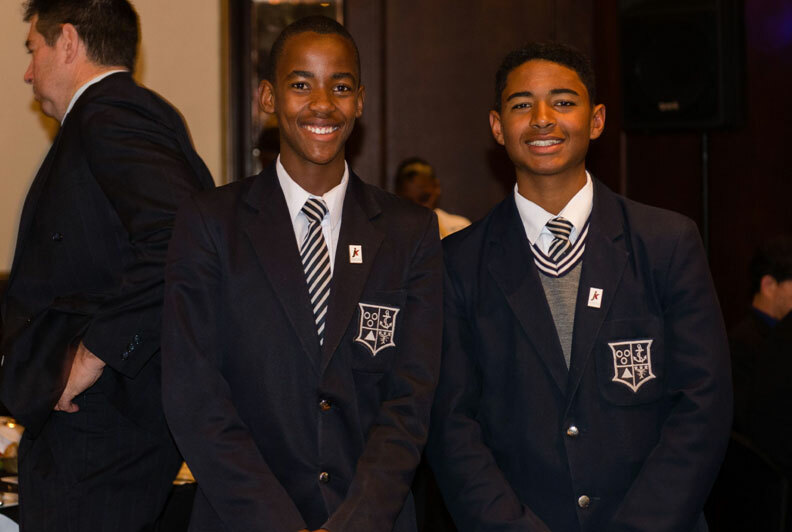 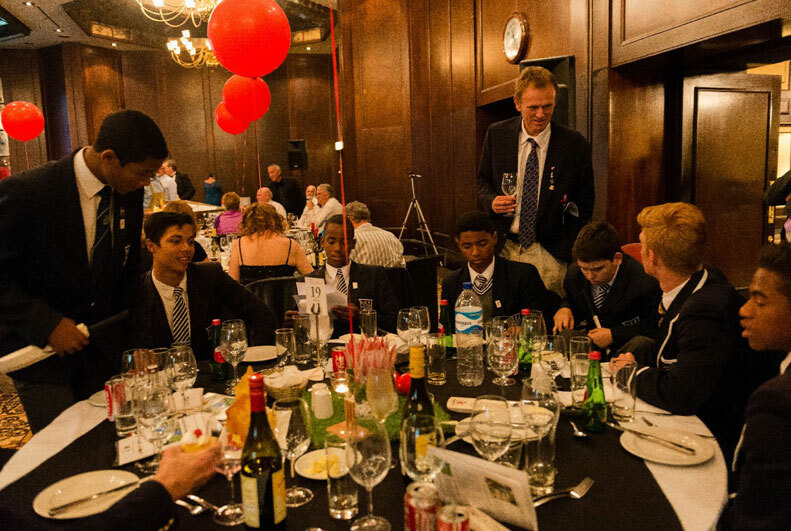 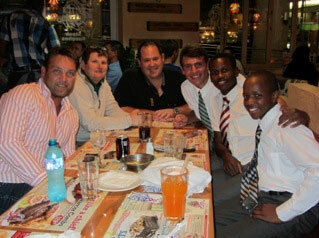 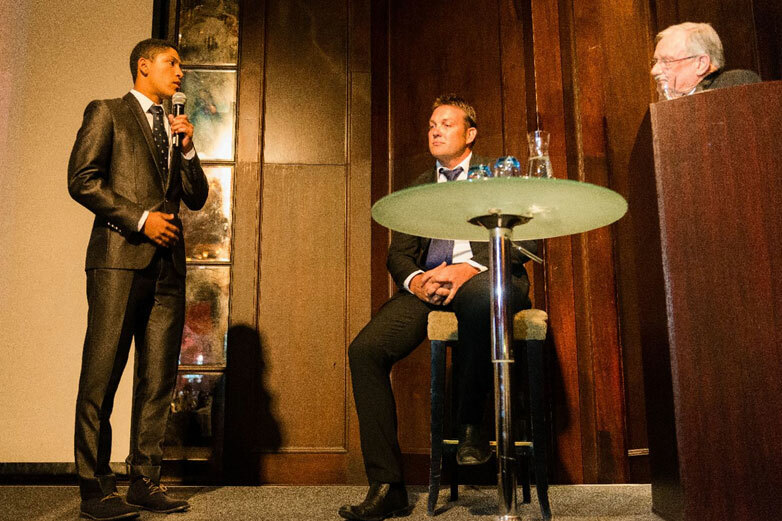 Jacques Kallis spent some time with current JK Foundation boys from Pretoria Boys High Boys where 7 Eagle Spur sponsored the meal on 5th March, Donovan Ferreira, Thomas Mashiane and Malibongwe (Jimmy) Jimlongoe - 2014. 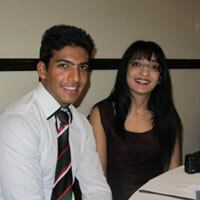 Shivaar Chuturgoon was interviewed at the Wanderers Club breakfast as he matriculated 2013 from Pretoria Boys High with an average of 90 %. 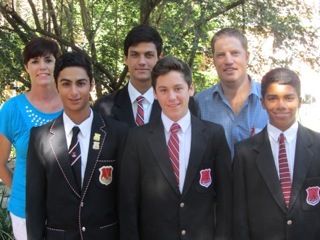 A visit to Maritzburg College to meet the boys March 2014. 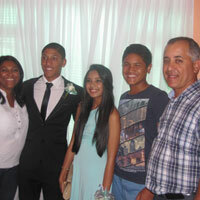 Back: Sharon, Randell Ramnarain, Andre Leroy. 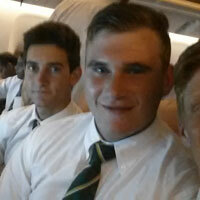 Front: Sohail Mahmoud, Matthew Dicks, Jared Campbell. 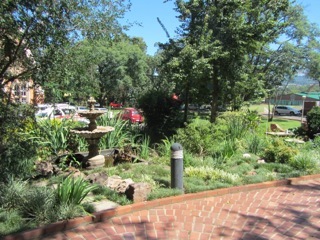 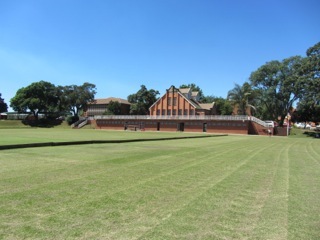 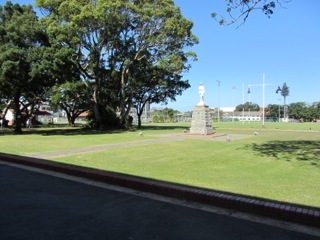 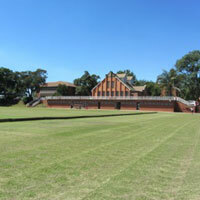 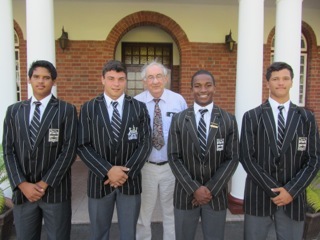 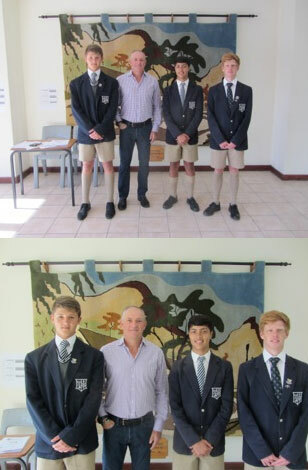 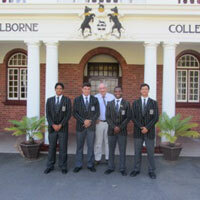 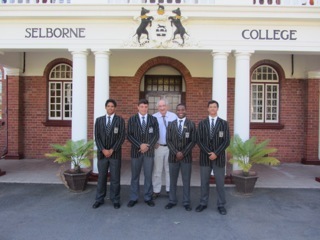 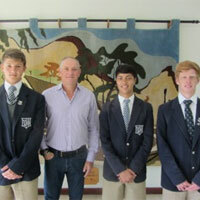 A visit to Selborne College to meet the boys, March 2014. 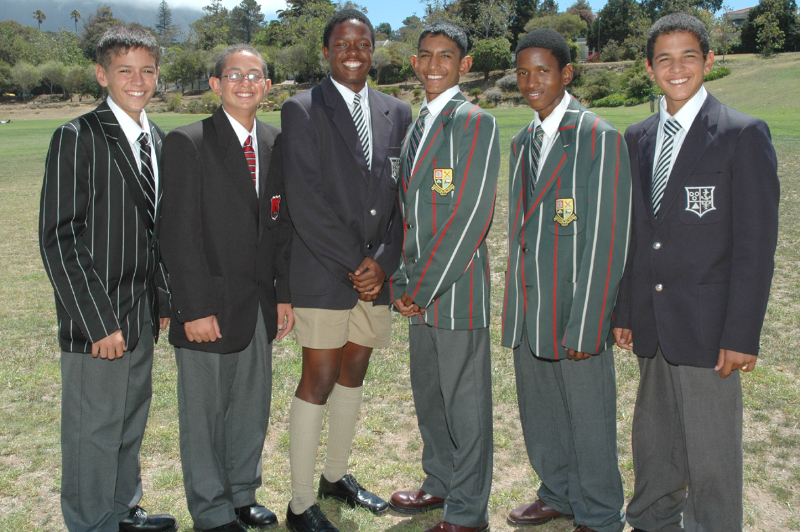 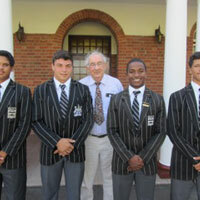 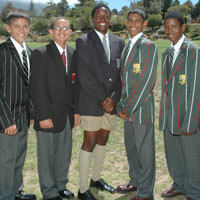 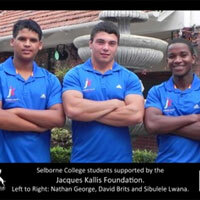 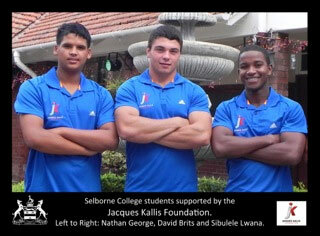 From left: Nathan George, David Brits, Sibulele Lwana, Jerome Bossr. 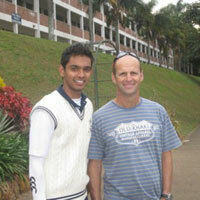 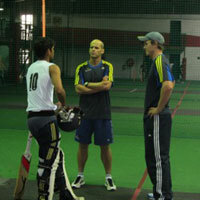 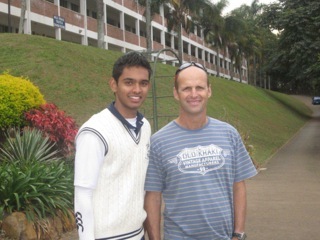 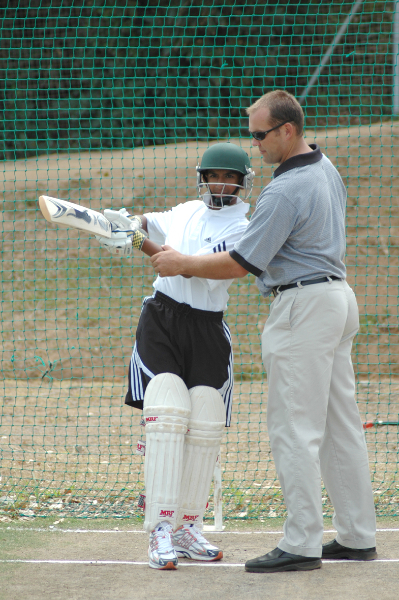 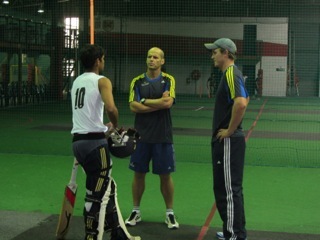 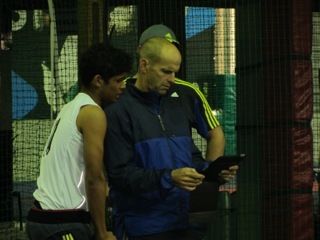 Gary Kirsten giving Quintin Dreyer who matriculated in 2013 at Wynberg Boys High, batting tips before he leaves for England. 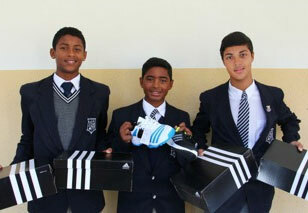 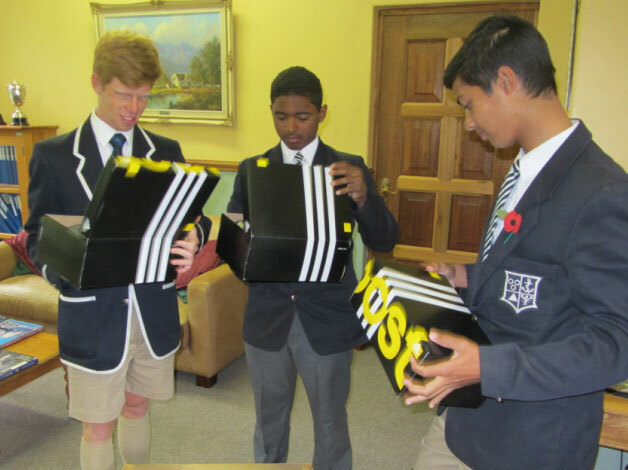 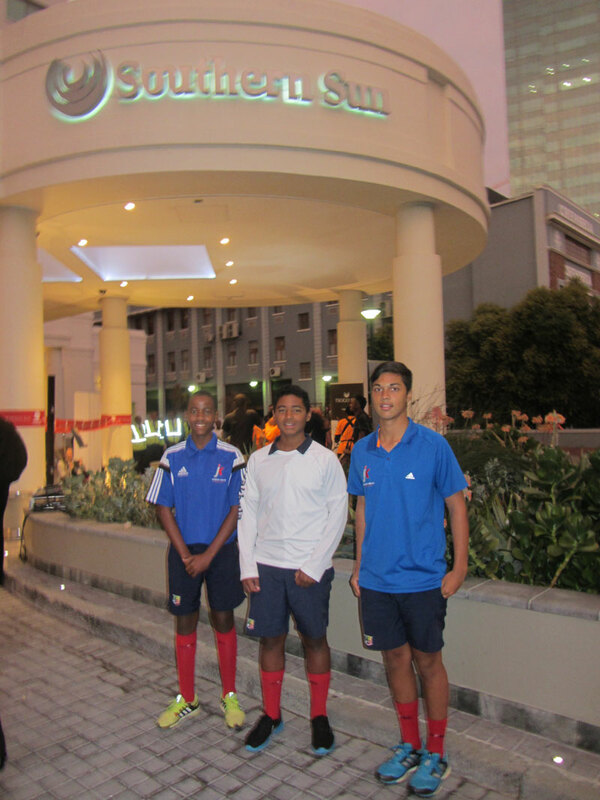 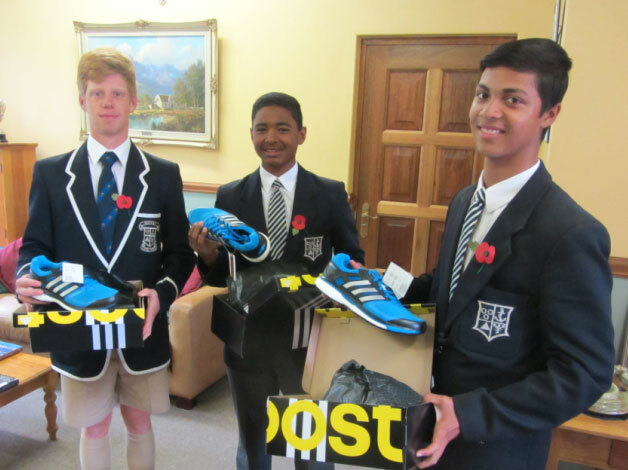 Thank you to adidas for the Wynberg Boys shoes, from left: Grant Martin, Brent Johnson, Kyle Pluke. 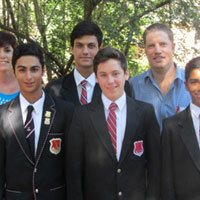 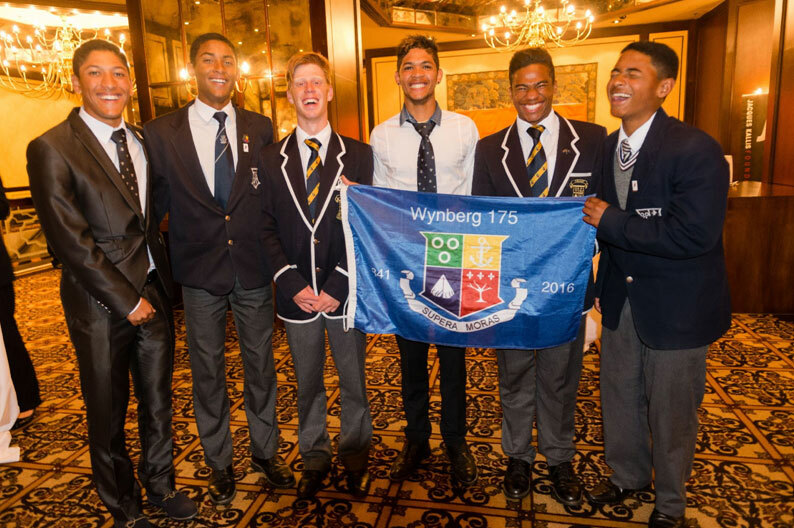 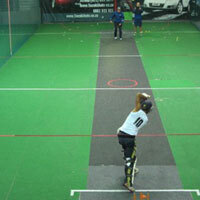 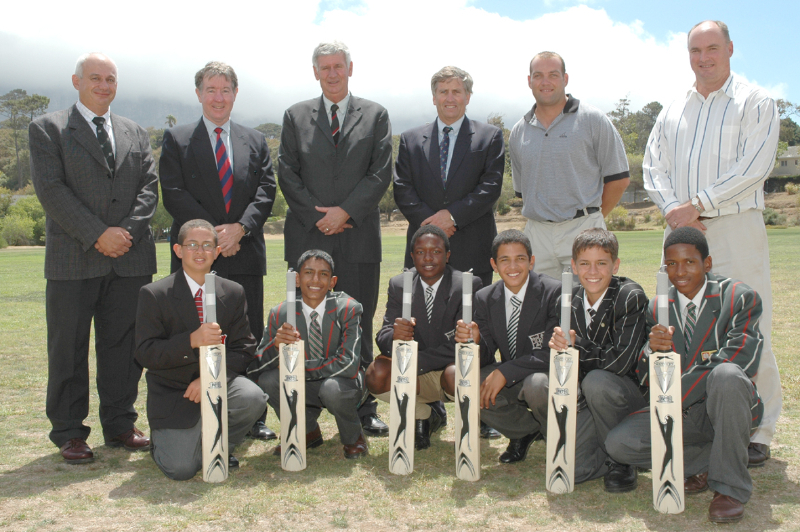 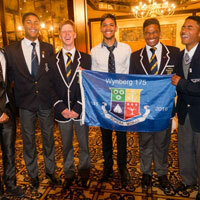 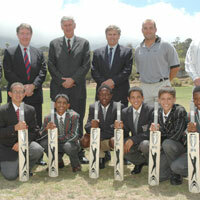 Wynberg boys from left back: Jesse Christensen, Jacques Kallis, Robin Kriel, Kyle Verreynne, Brent Johnson, Kyle Pluke. 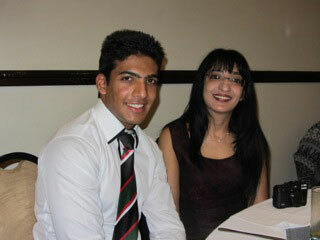 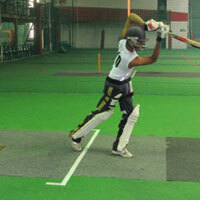 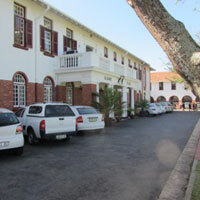 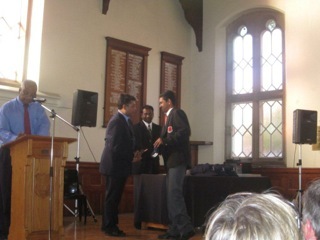 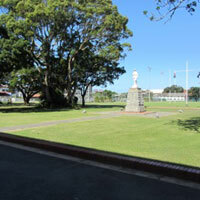 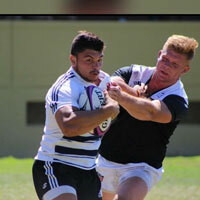 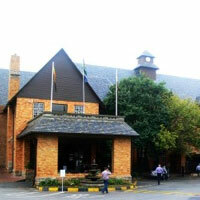 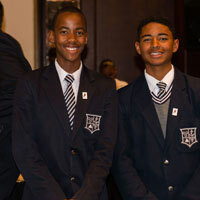 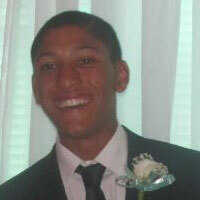 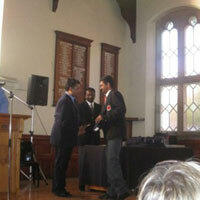 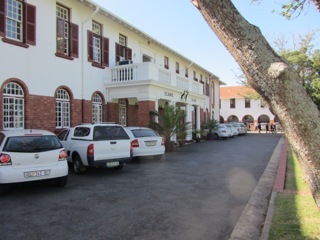 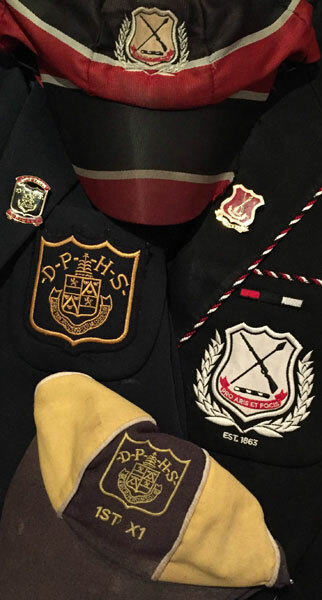 Maritzburg College old boy Kurtlyn Mannikam matriculated in 2013. 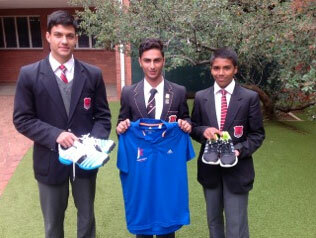 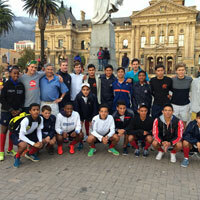 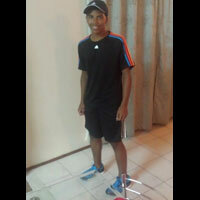 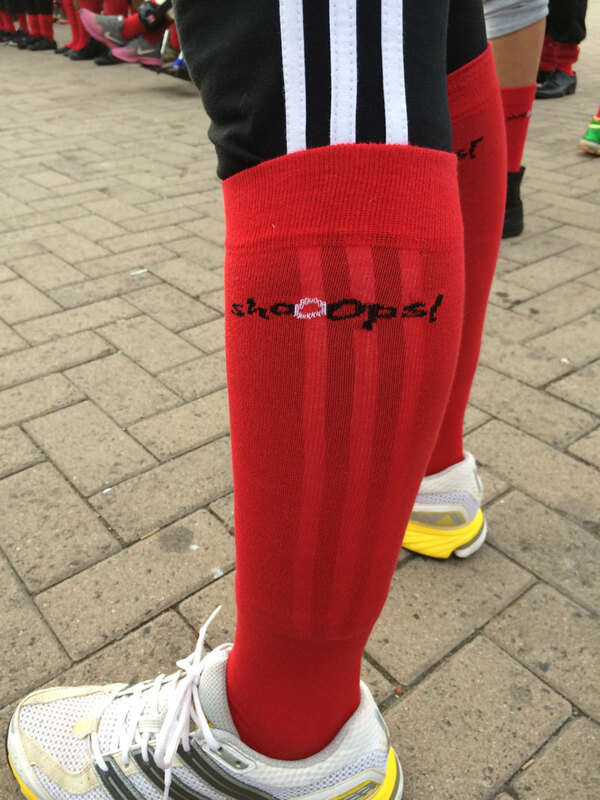 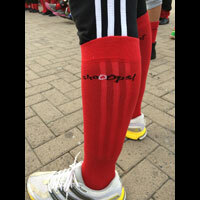 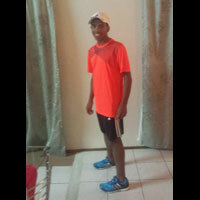 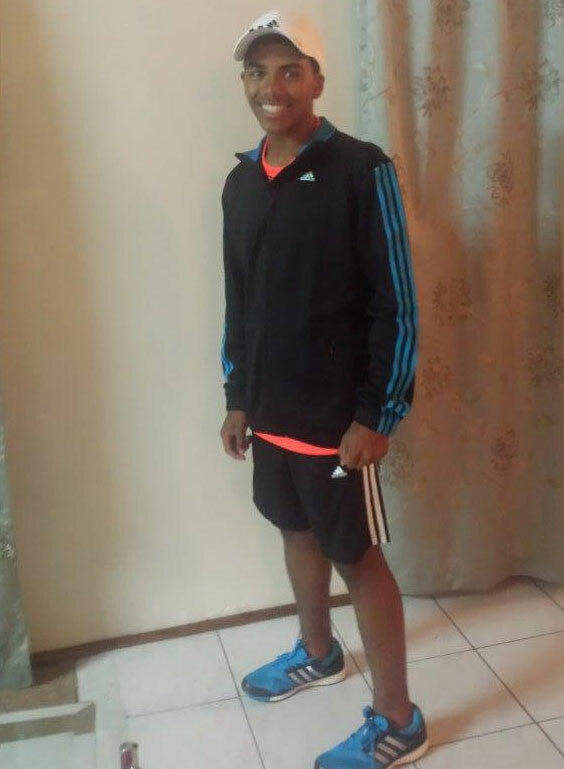 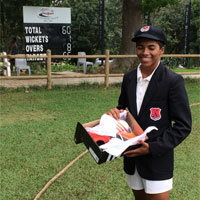 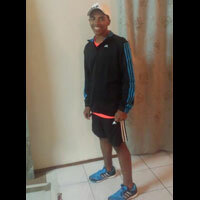 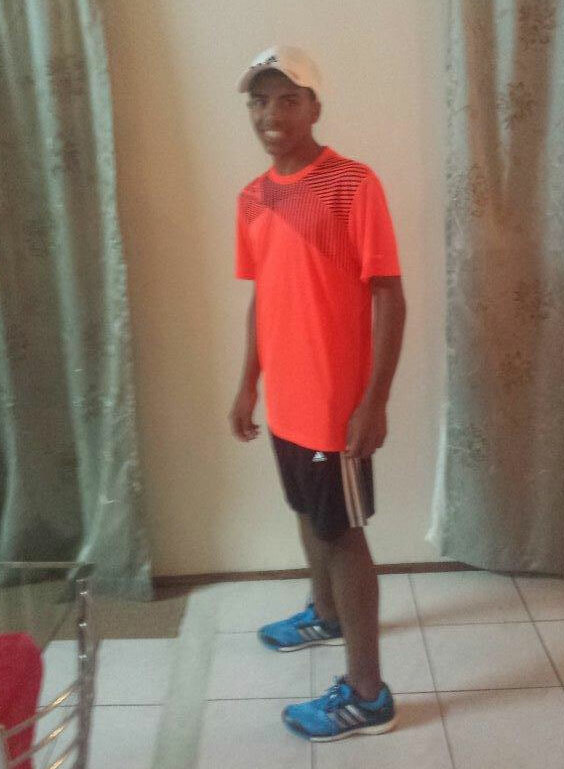 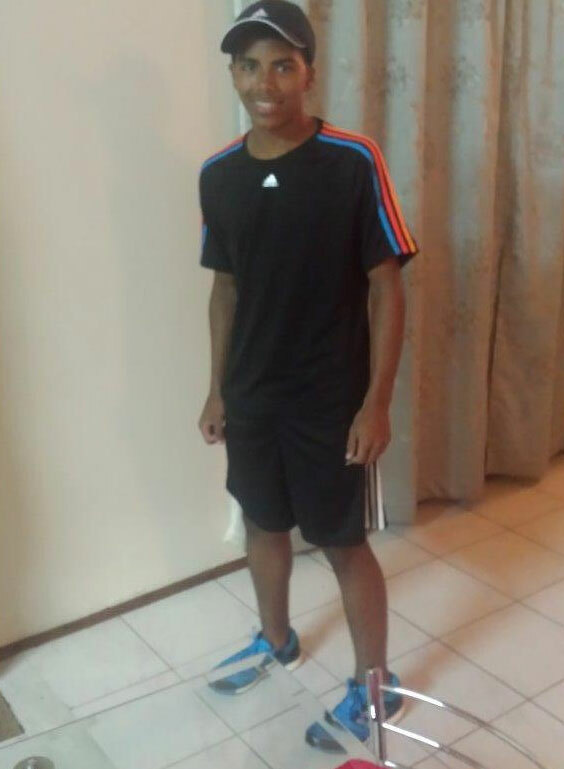 Maritzburg College, want to thank adidas for their shirts and shoes. 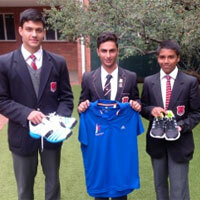 From left: Randell Ramnarain, Sohail Mahmoud, Jared Campbell. 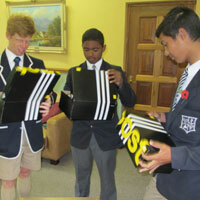 The Wynberg boys receiving their sponsored shoes. 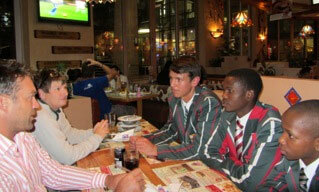 Kyle Verreynne, Brent Johnson and Kyle Pluke. 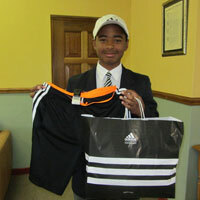 Brent Johnson won the annual adidas hamper. 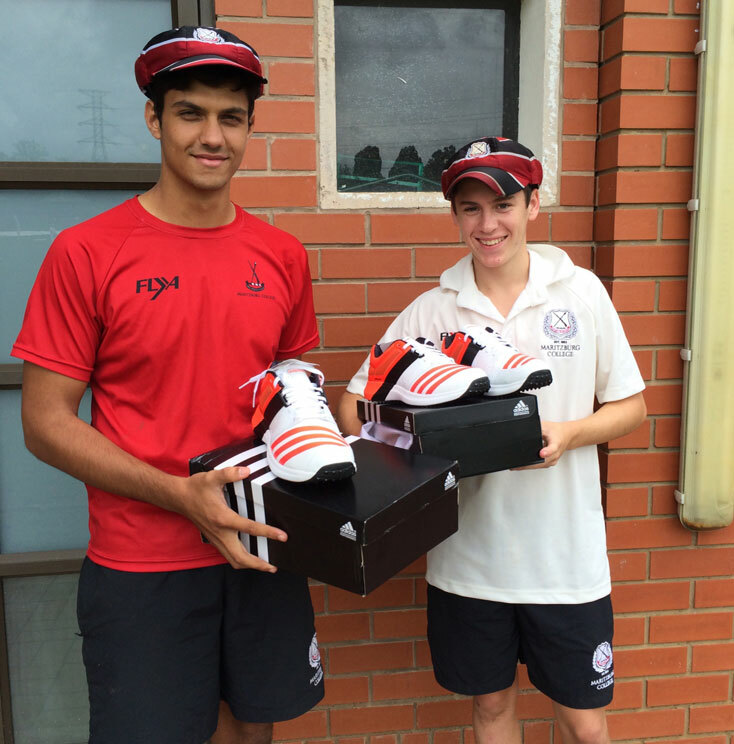 Randell Ramnarain and Matthew Dicks receiving their cricket boots sponsored by adidas and the second picture is Jared Campbell. 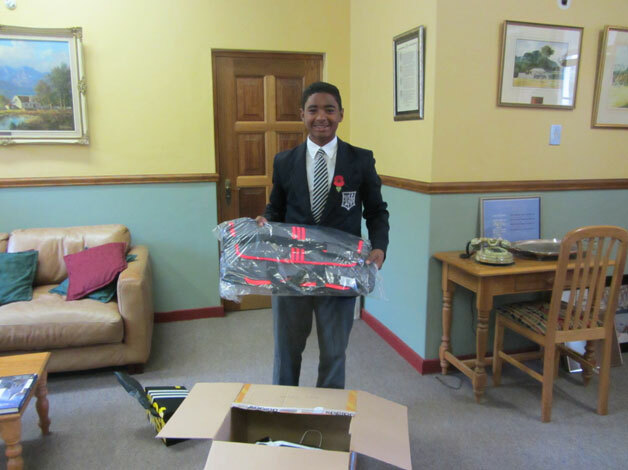 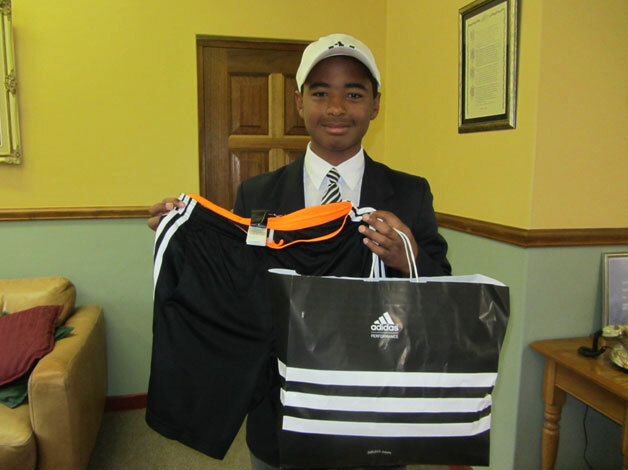 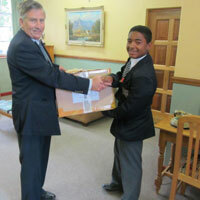 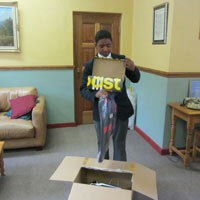 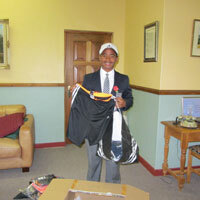 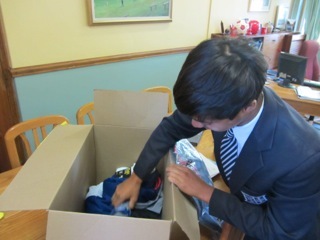 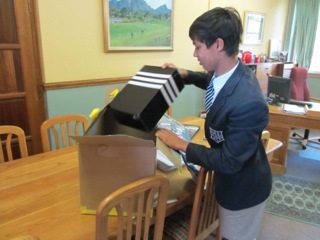 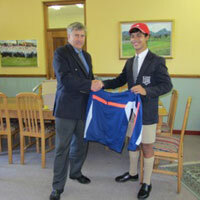 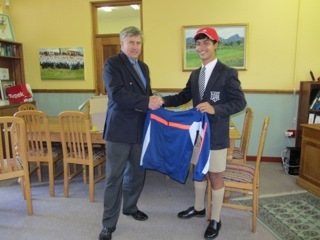 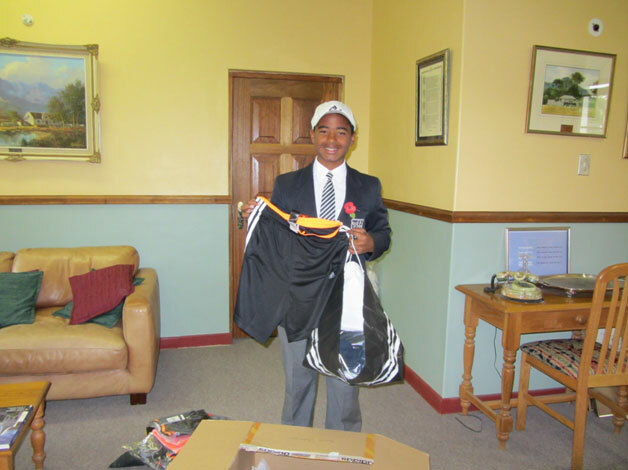 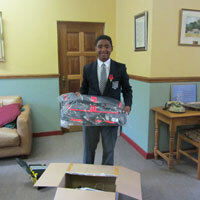 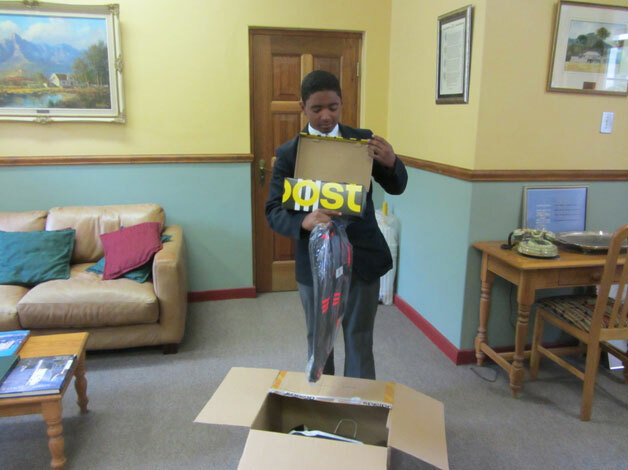 Jared Campbell from Maritzburg College received the annual prize hamper from adidas. 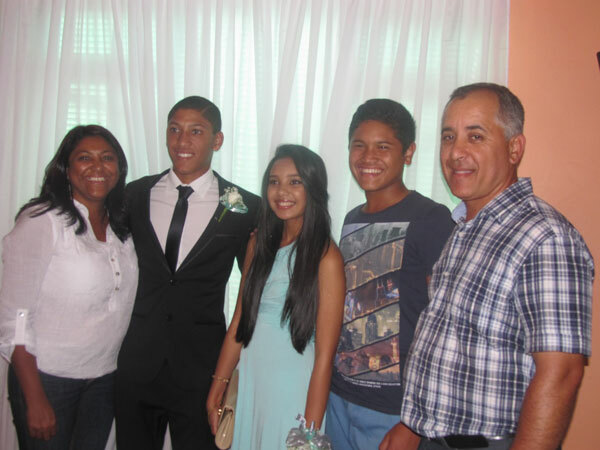 Congrats Jarred !! 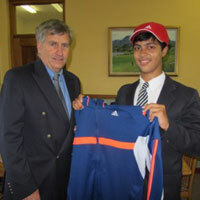 Robin Kriel who matriculated last year was not sure what he wanted to study and decided to take a gap year and visit Rob van Weelde our long lasting patron, Robin left on Monday 27th April to join Frank van Lent and his family who welcomed Robin into Holland to play cricket and if he can extend his visa for another 3 months he will stay and play hockey too.Thank you very much to Rob van Weelde and the van Lent family for all their assistance to make this dream of Robin's come true. 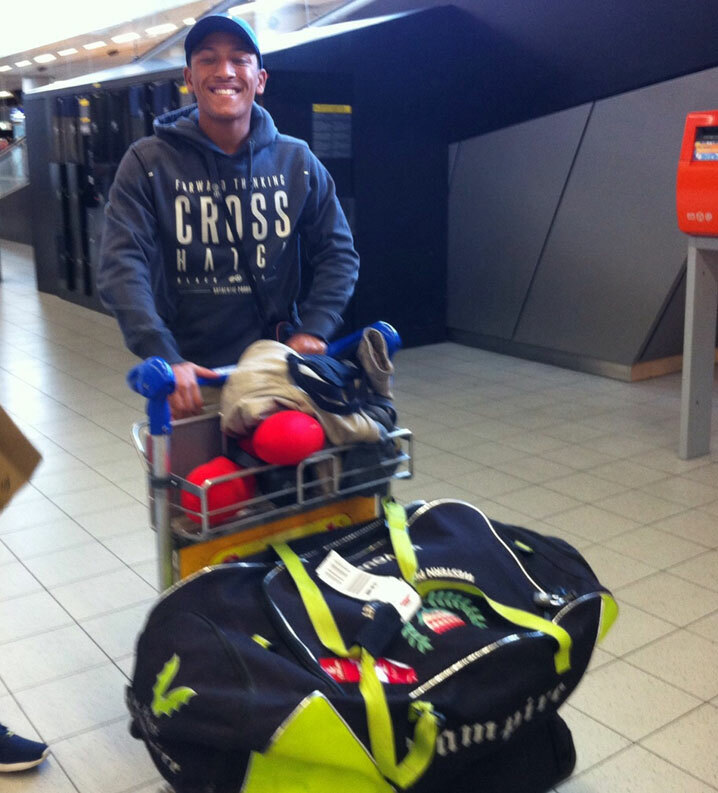 Robin leaving SA and arriving in Holland with his new friend. 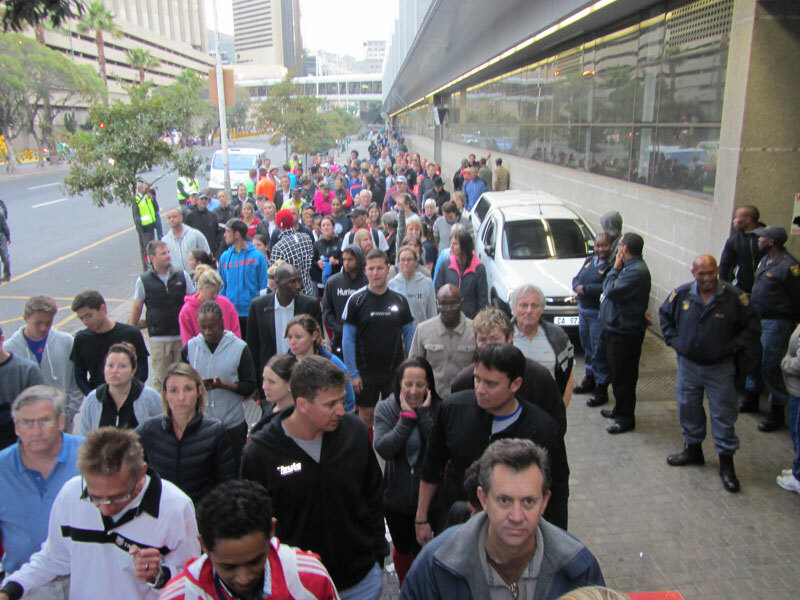 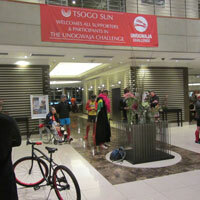 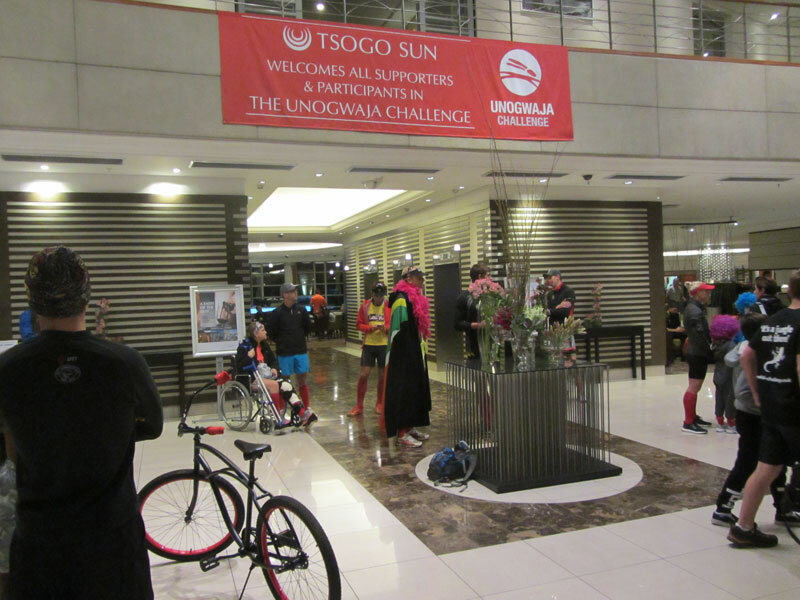 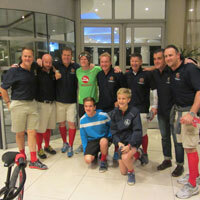 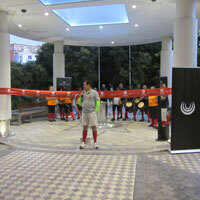 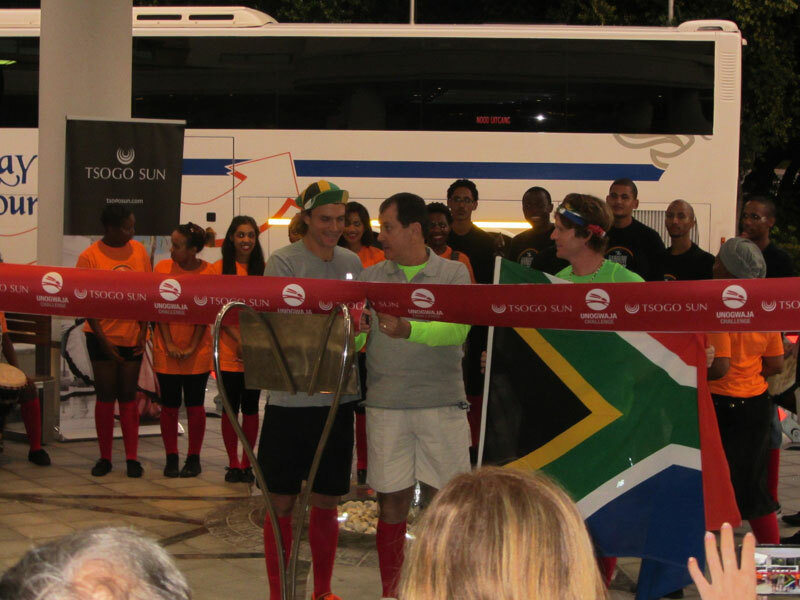 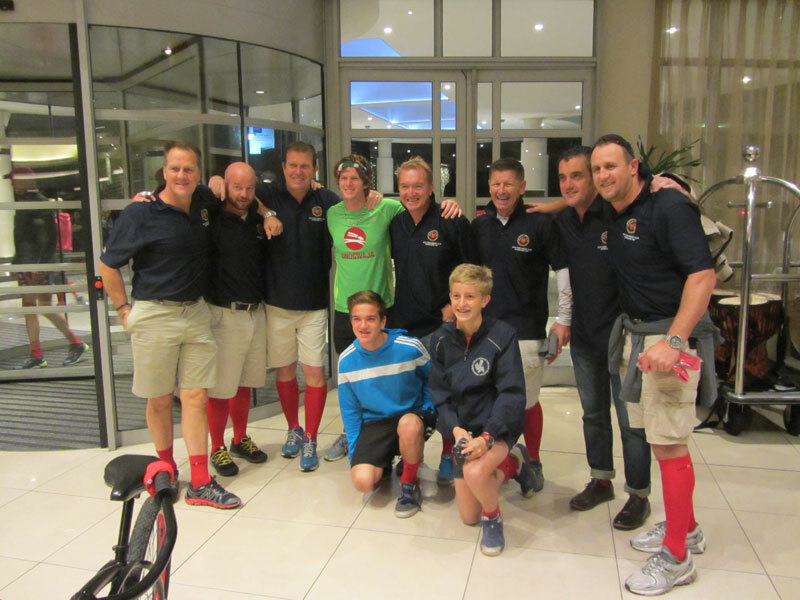 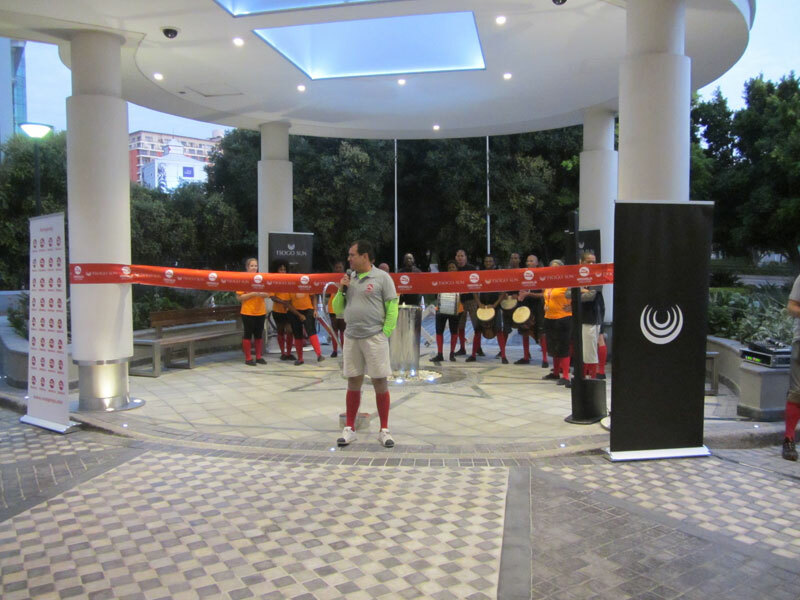 John McInroy and Robert Le Brun departed from the Tsogo Sun Hotel Waterfront on Friday 1st May on the long walk / run to Pietermaritzburg, to arrive on the 30th May and then run the comrades on the 31st May 2015 as a fundraiser ' Unogwaja Challenge ' which is looking to raise two million rand this year. 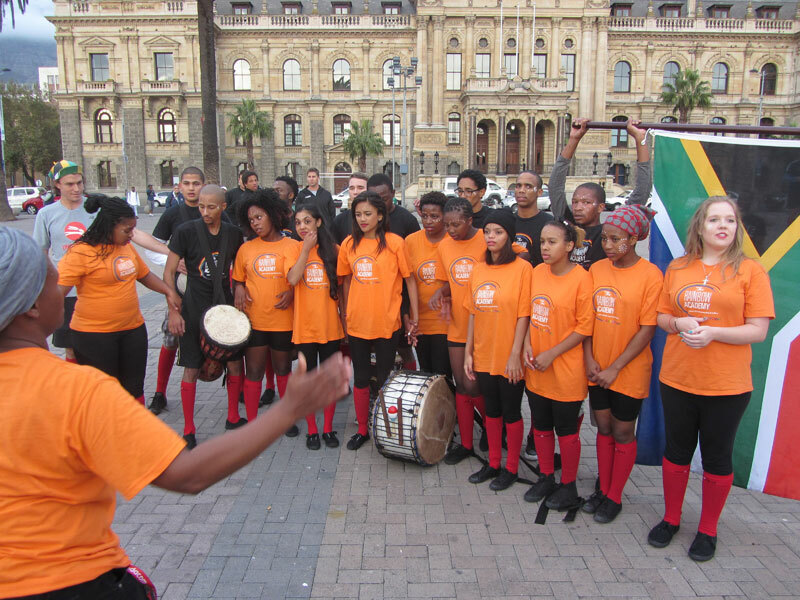 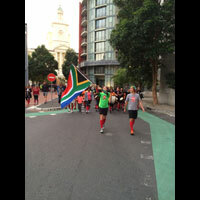 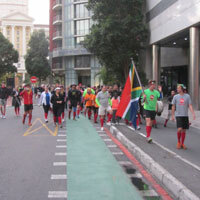 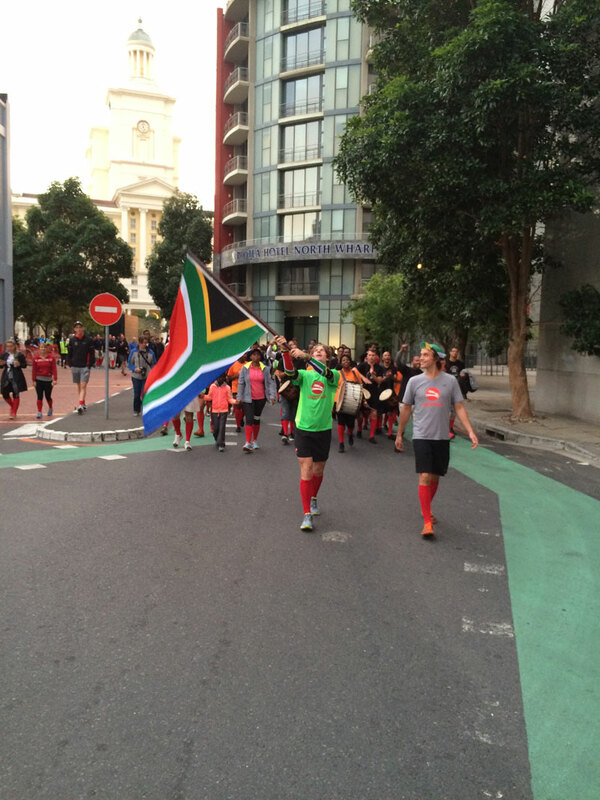 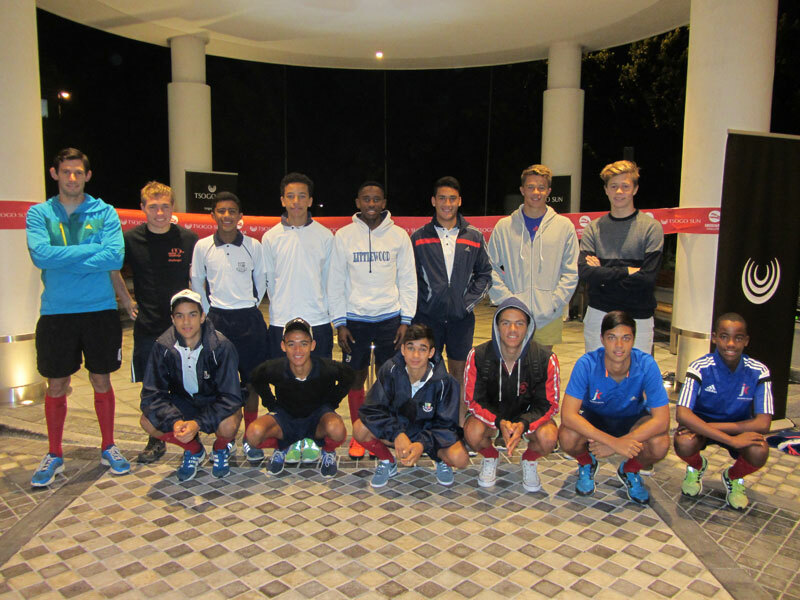 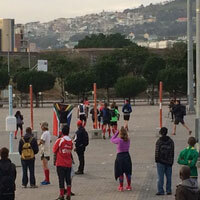 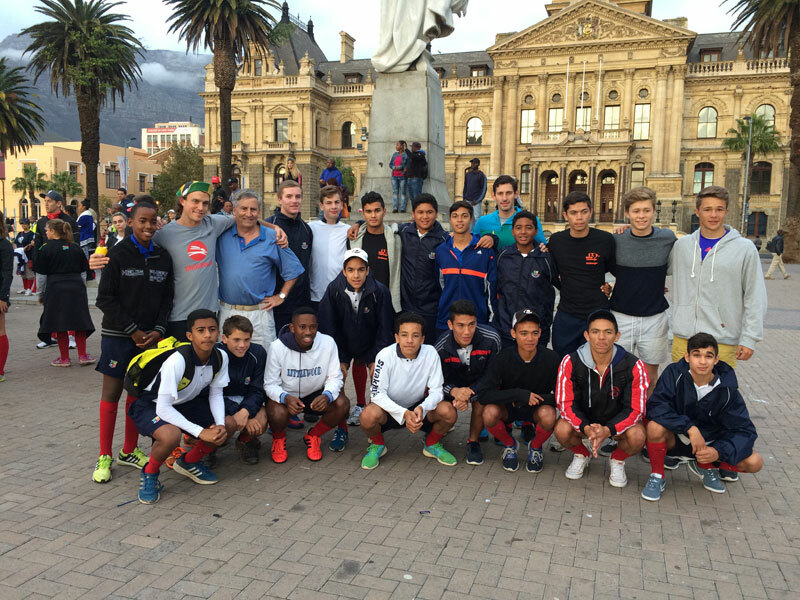 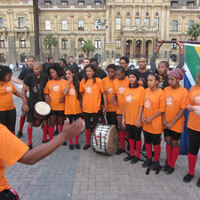 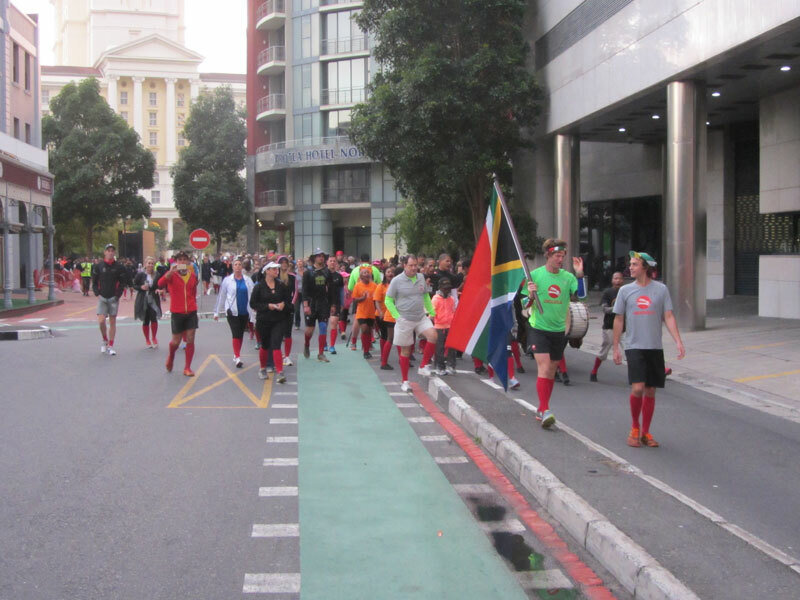 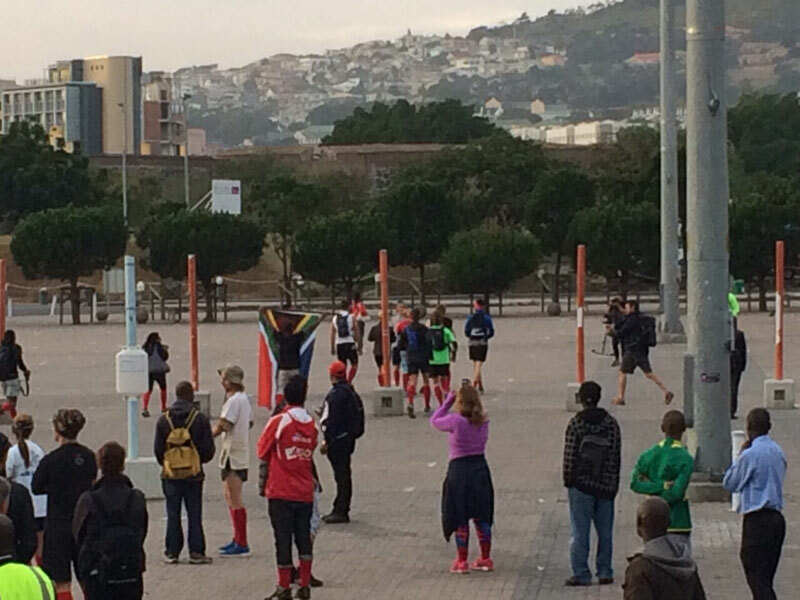 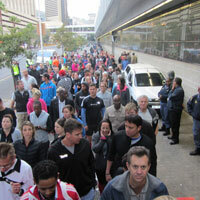 The Jacques Kallis foundation boys and Wynberg Boys hockey team joined in the first section of their walk to get them on their way. 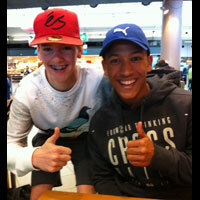 GOOD LUCK AND HAVE A SAFE TRIP !!! 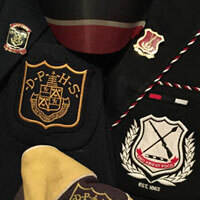 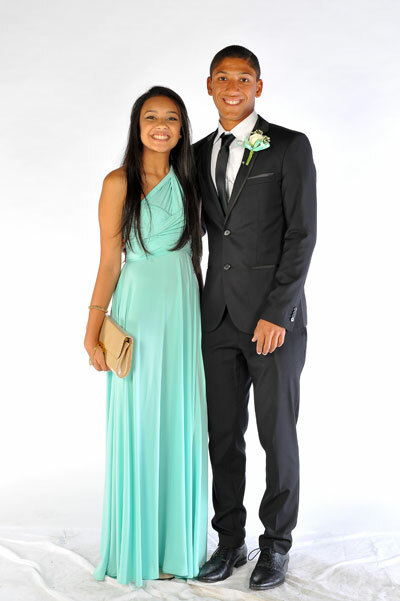 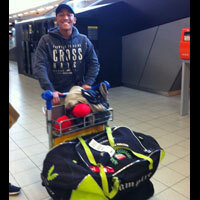 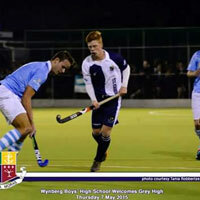 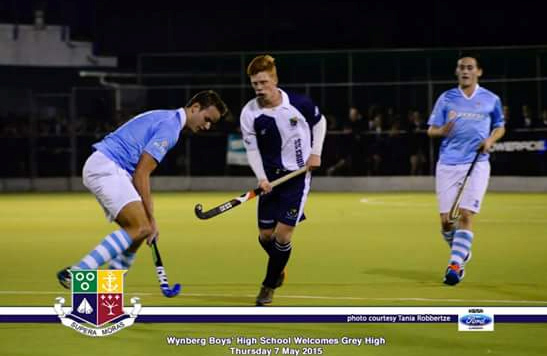 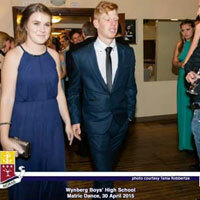 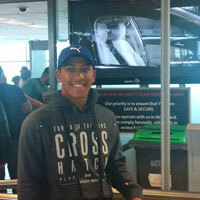 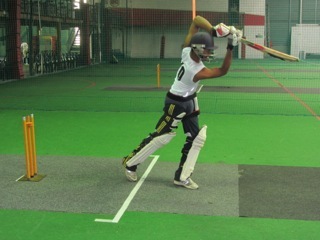 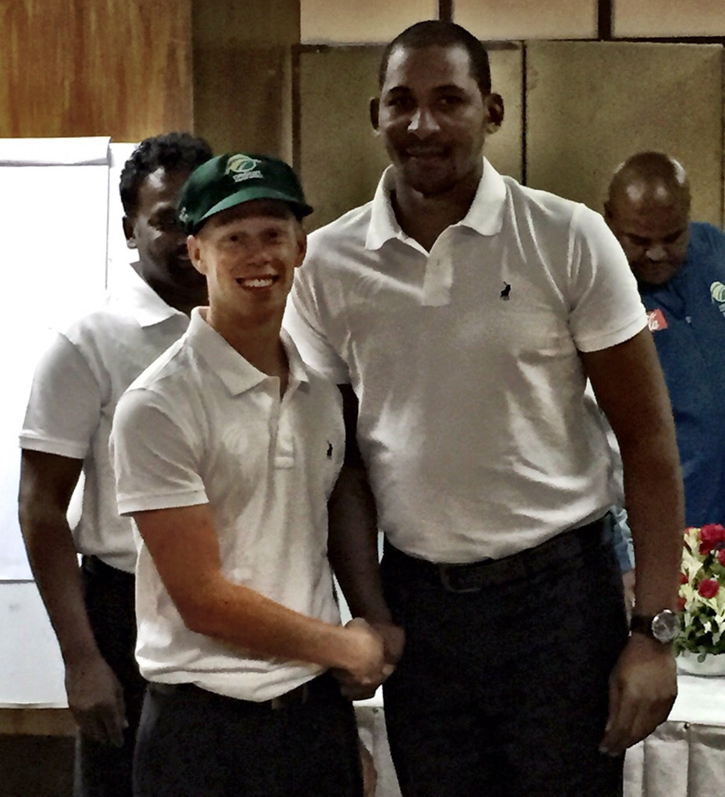 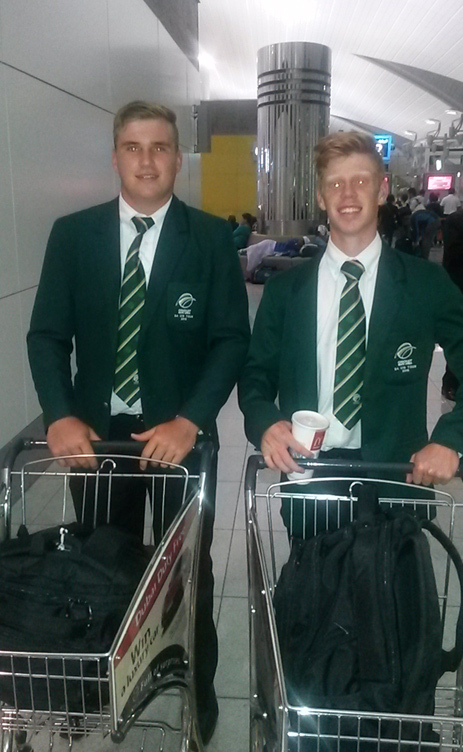 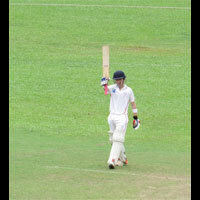 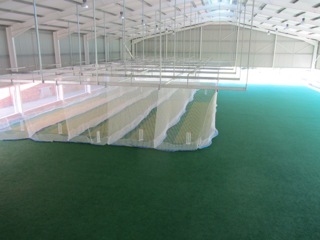 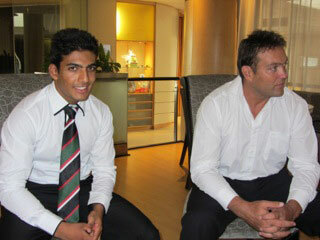 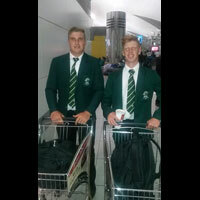 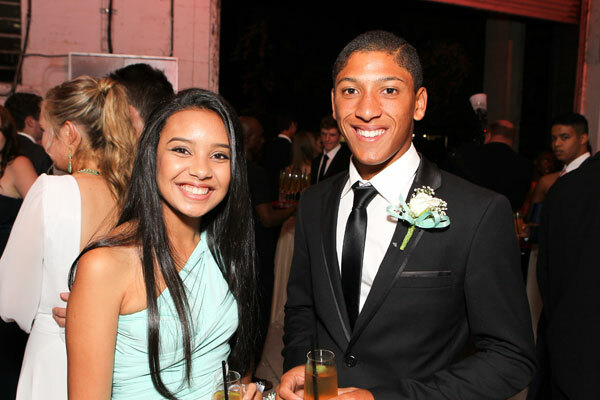 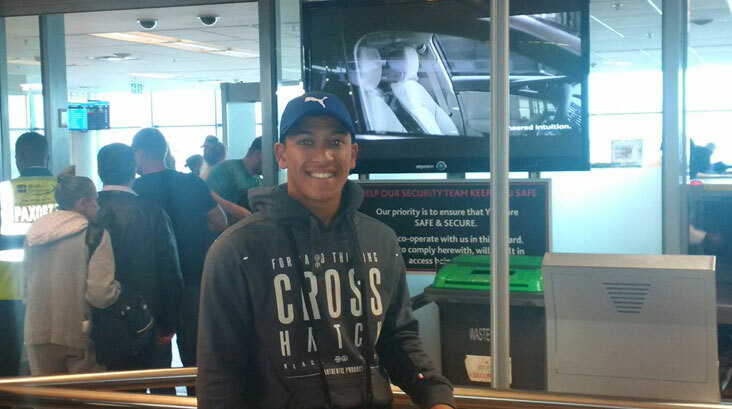 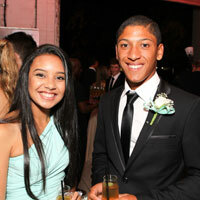 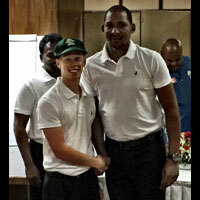 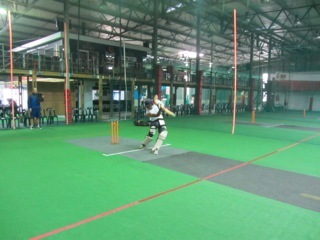 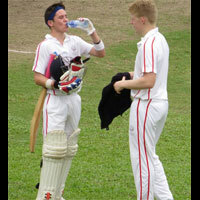 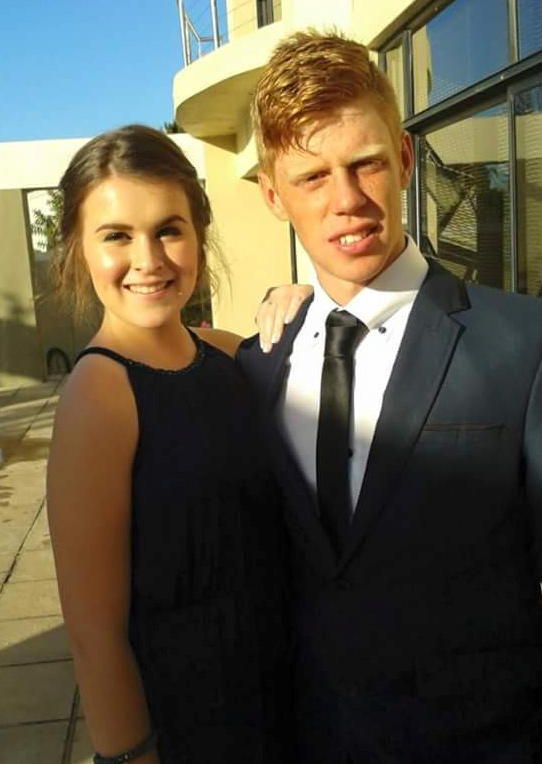 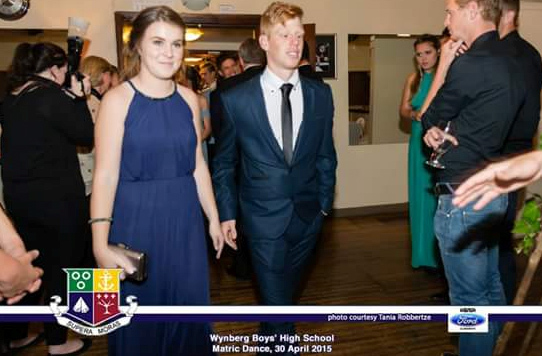 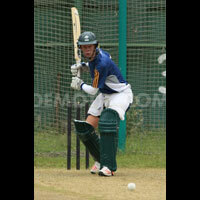 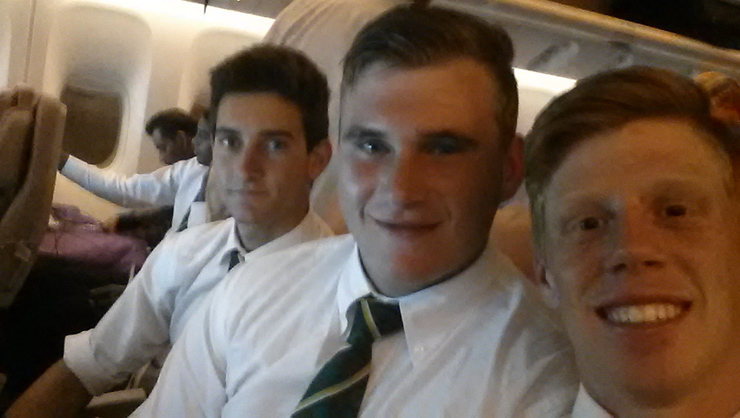 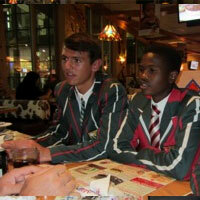 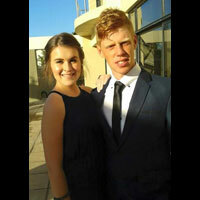 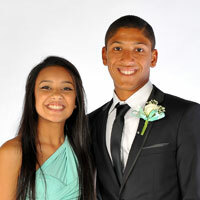 Kyle Verreynne, SA U19 Bangladesh trip, matric dance and hockey. 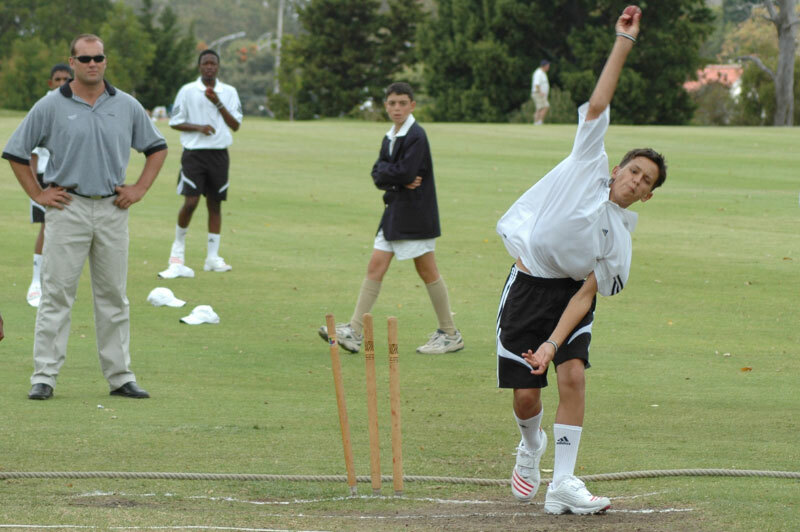 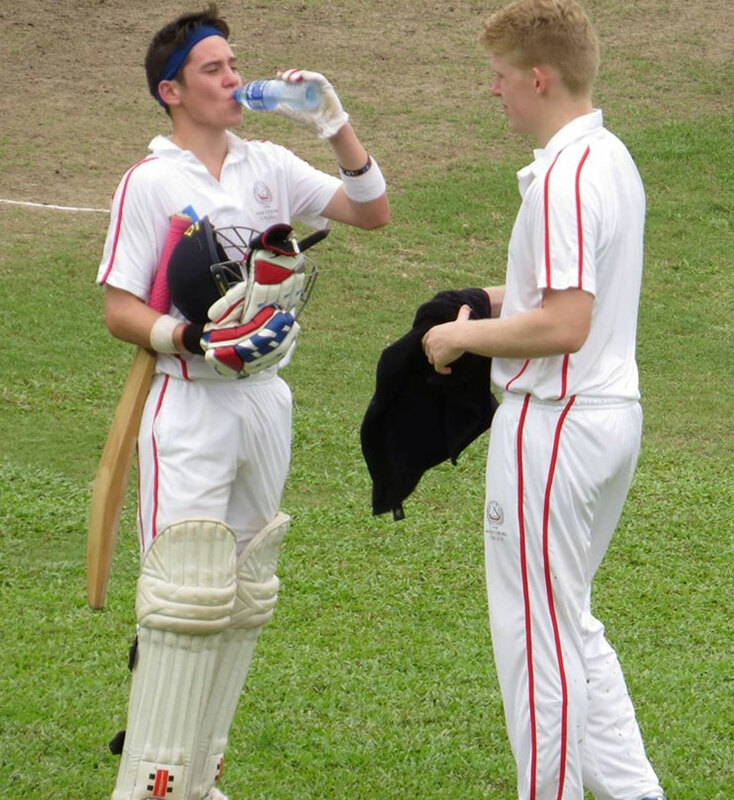 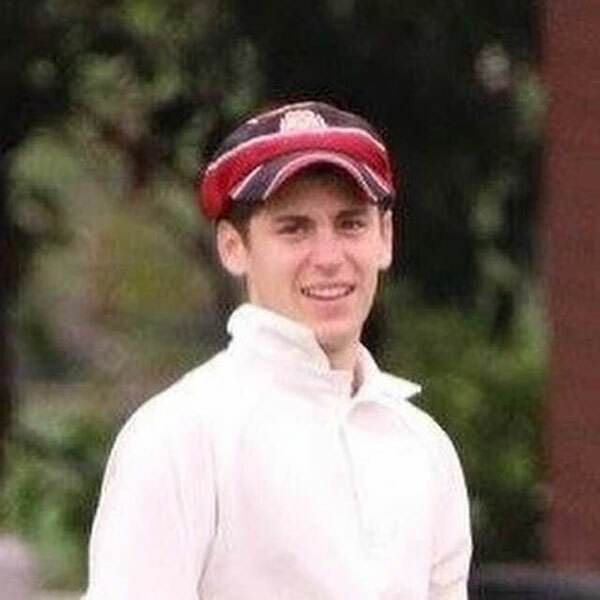 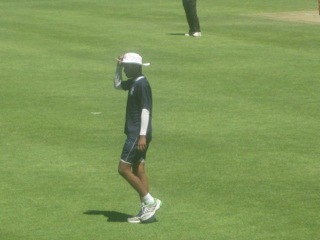 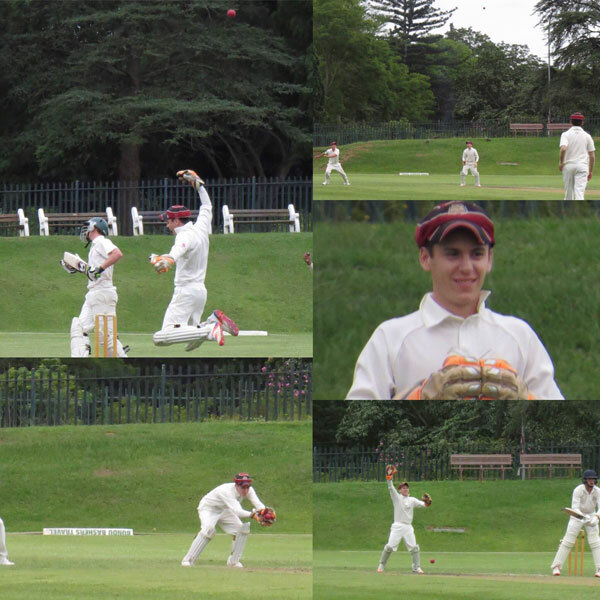 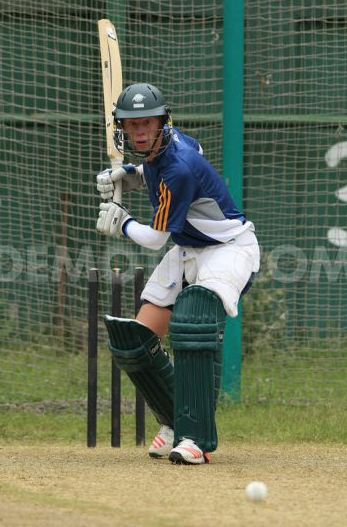 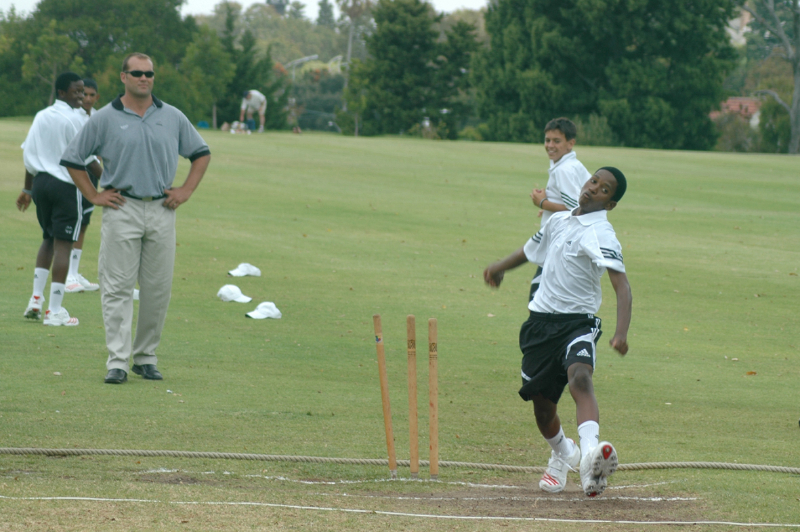 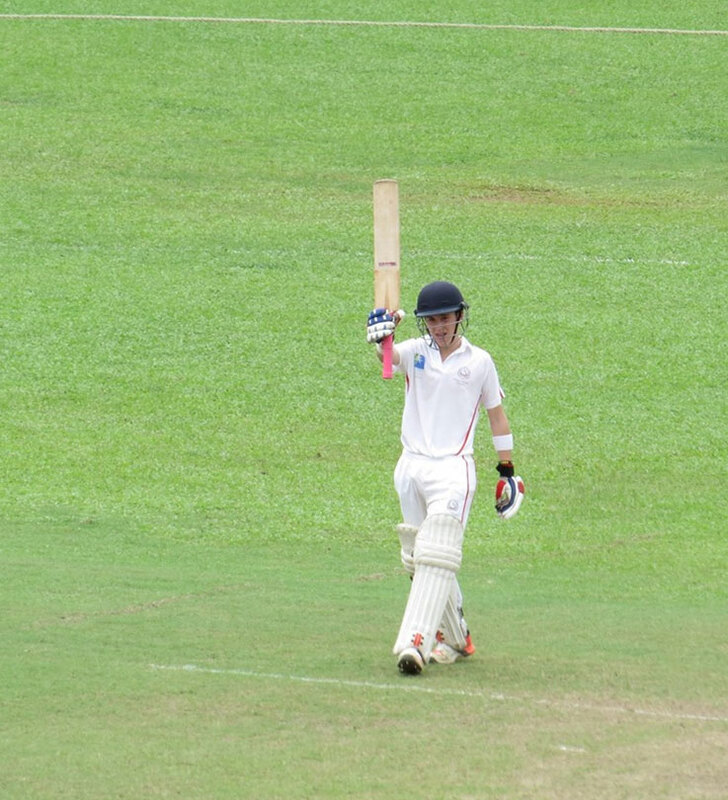 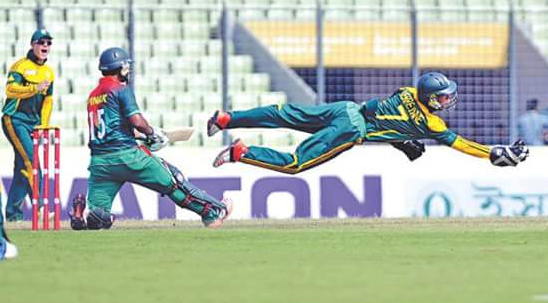 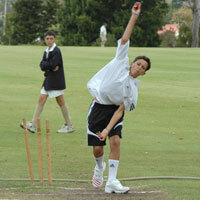 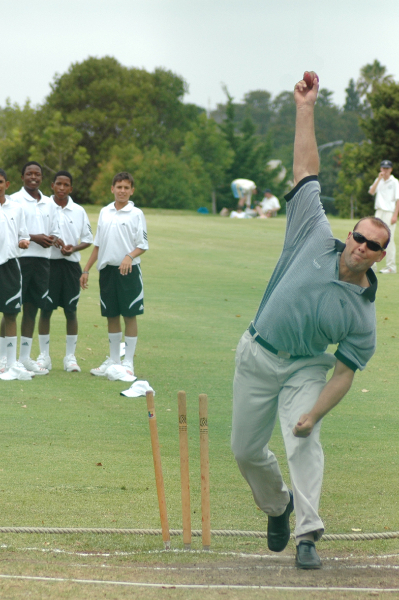 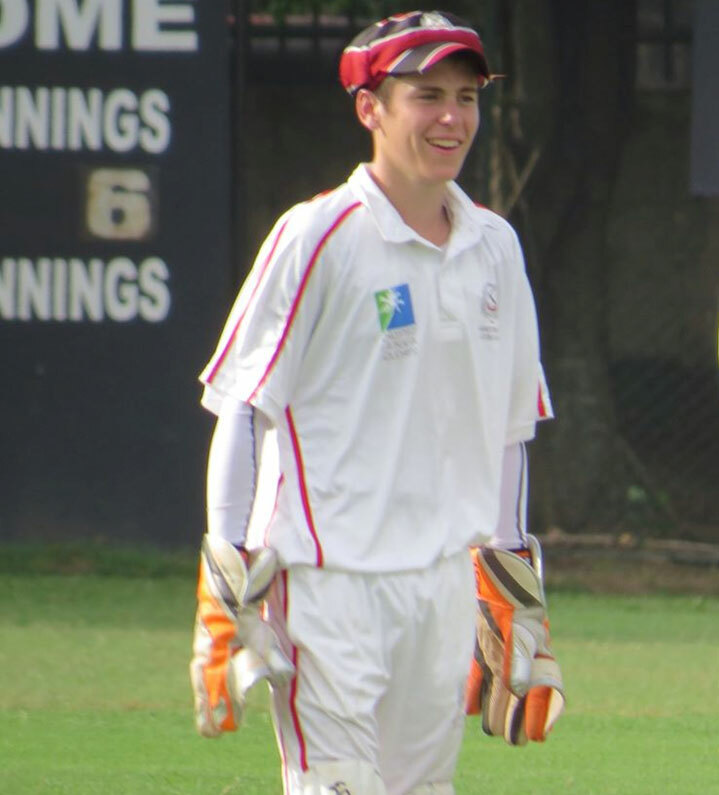 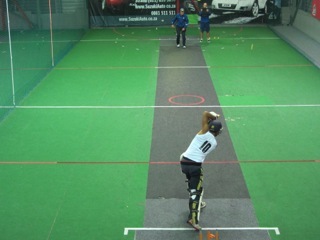 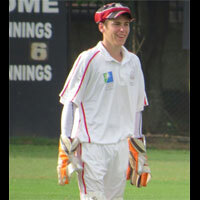 Matthew Dicks from Maritzburg College enjoying his game of cricket 2015. 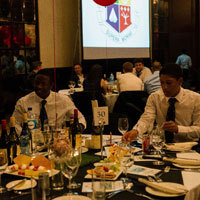 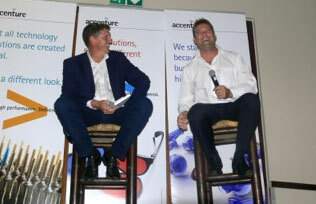 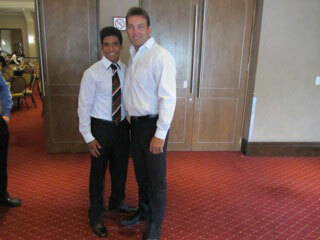 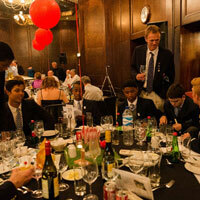 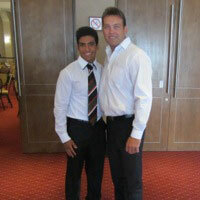 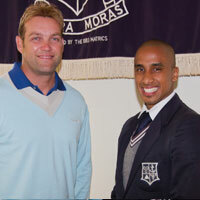 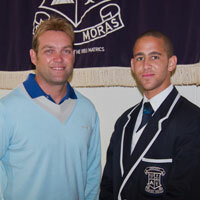 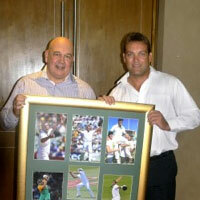 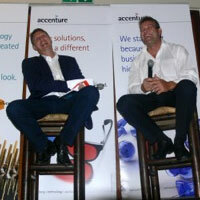 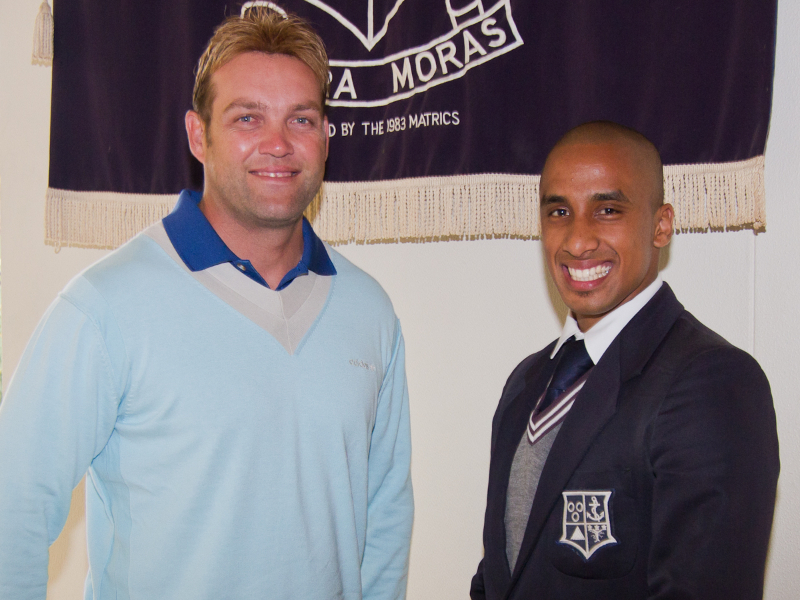 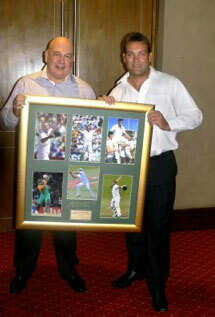 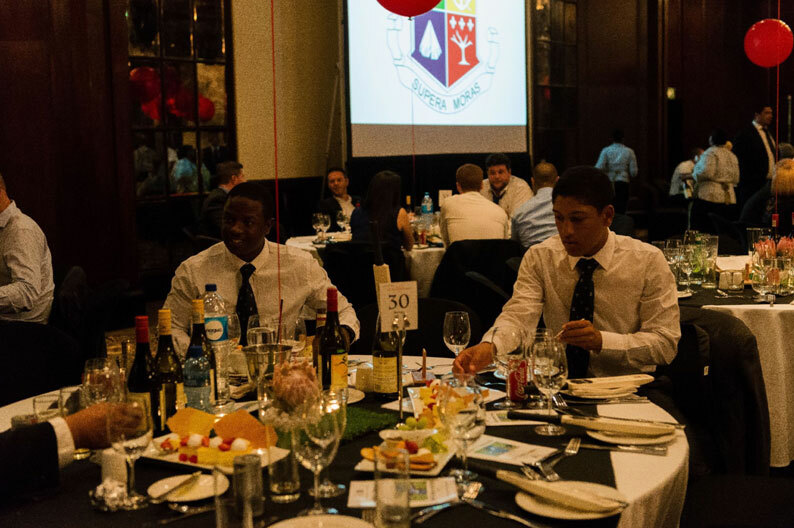 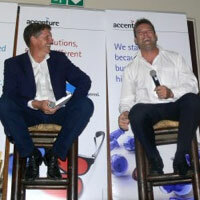 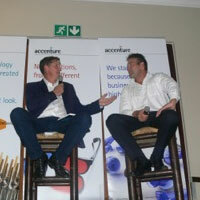 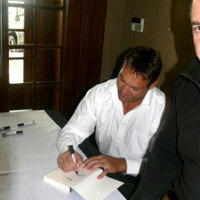 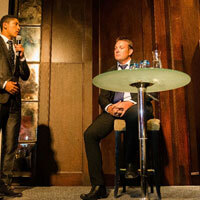 Wynberg Old Boys Union "Tribute Dinner to Jacques Kallis". 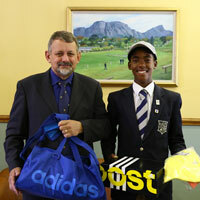 Tebogo Faas is at Wynberg Boys High receiving the adidas annual hamper, Jan de Waal the new headmaster with Tebogo Faas. 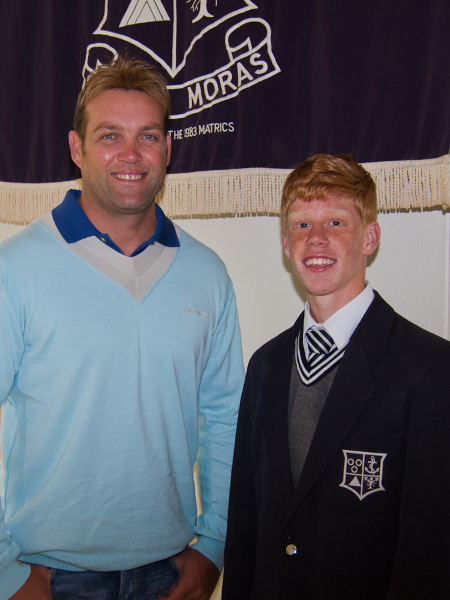 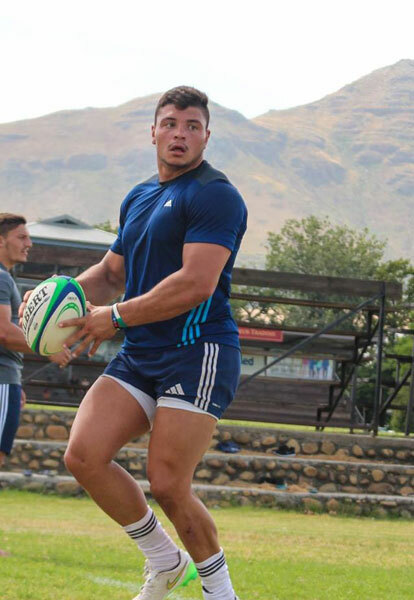 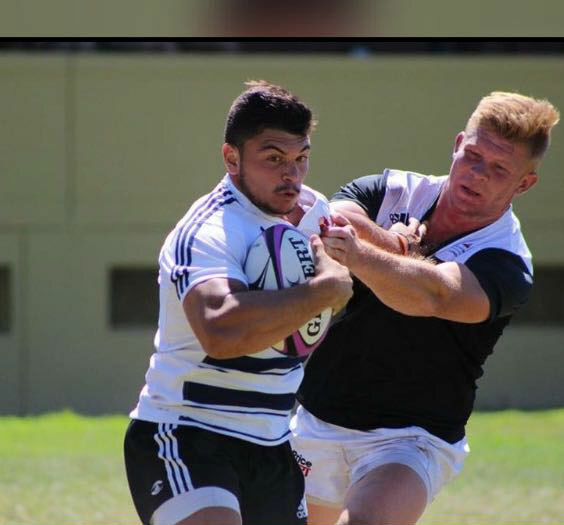 David Brits matriculated last year (2015) at Selbrne College, is now playing rugby for Western Province.